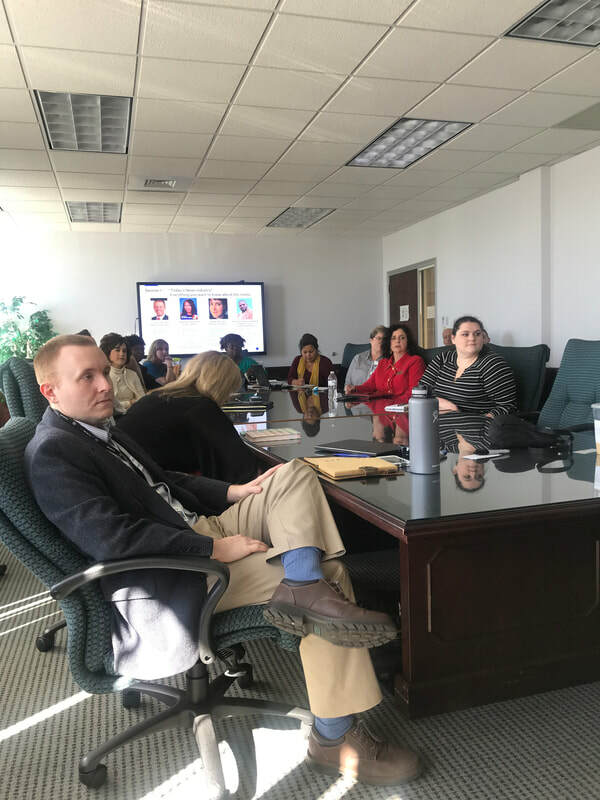 Throughout New Hanover County, young women are often used by gang leaders in a variety of capacities including storing drugs, renting cars, carrying information to and from jails, and other, sometimes illegal, activities. 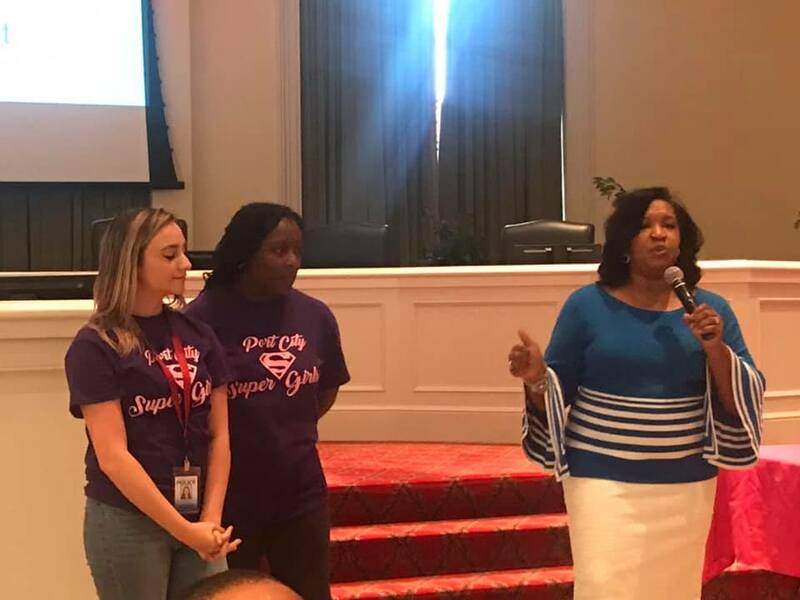 Super Girls is a gang prevention program targeting at-risk youth by empowering them to make positive choices. 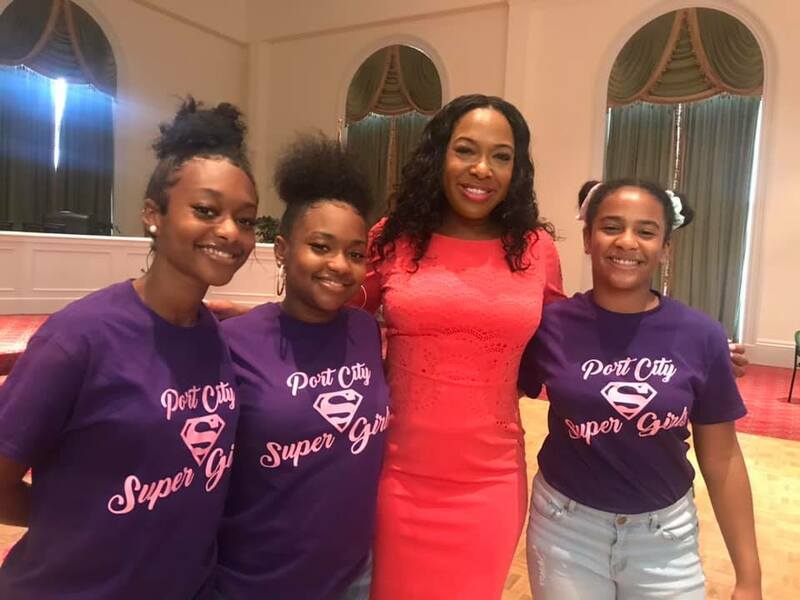 Which is why the department started the Port City Super Girls Academy. 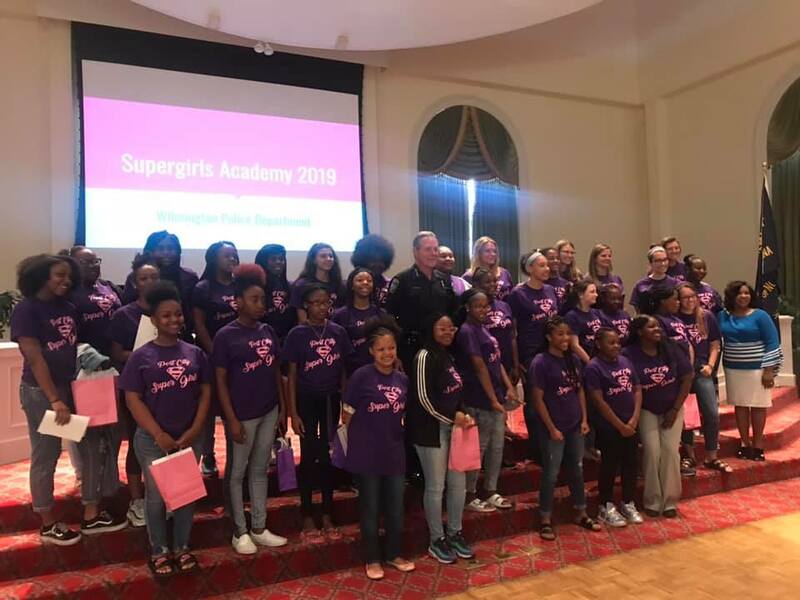 The Port City Super Girls Academy is a four day retreat created for 50 girls 12 to 18 years of age. 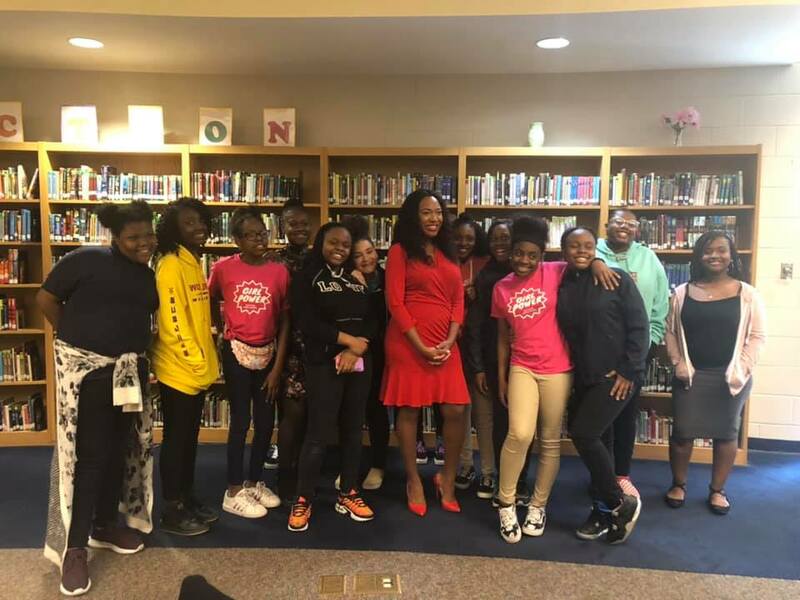 This on-site program will challenge female teens to explore new and innovative career paths, receive instruction on financial literacy, and violence prevention and intervention. 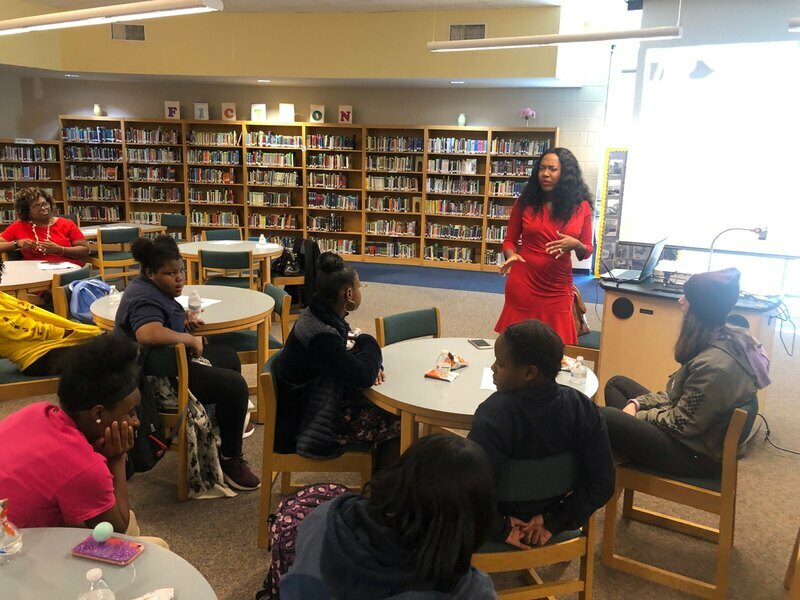 An interactive curriculum will be offered along with extra-curricular activities to include, sports, health and fitness. 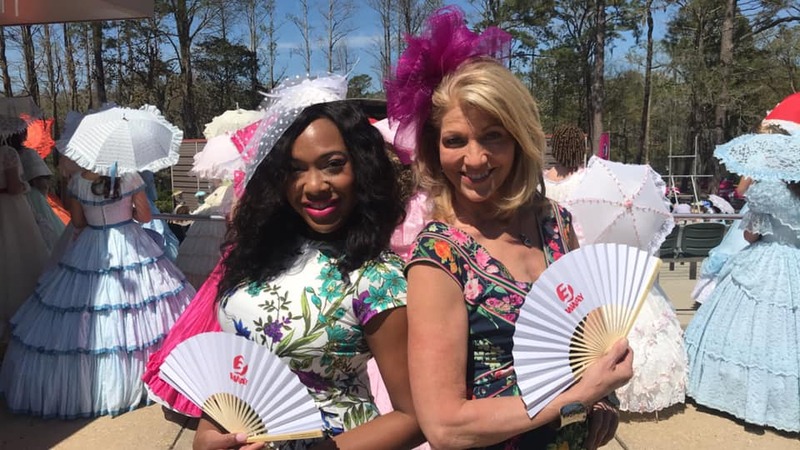 The North Carolina Azalea Festival is a 501(c)3 non-profit organization that is a locally-grown organization raising money and volunteerism. They have been around since 1948 and they provide several events that bring people from around the world. 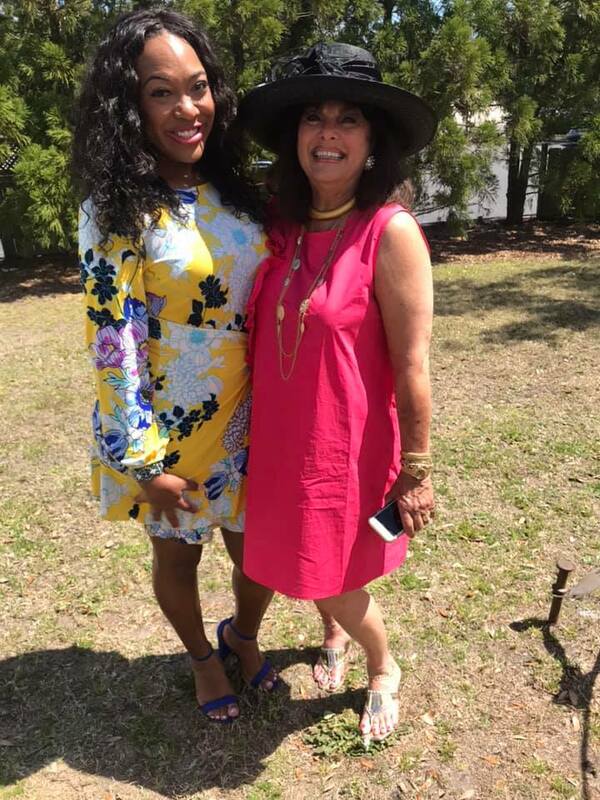 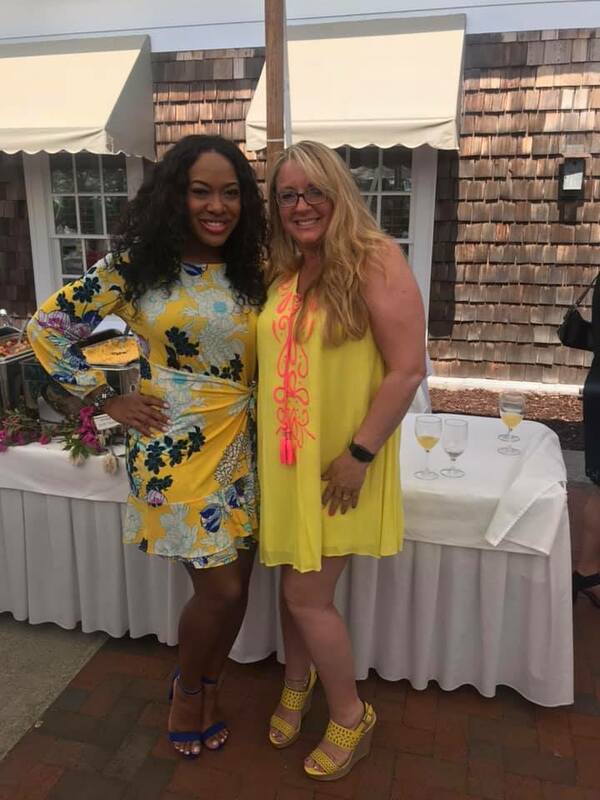 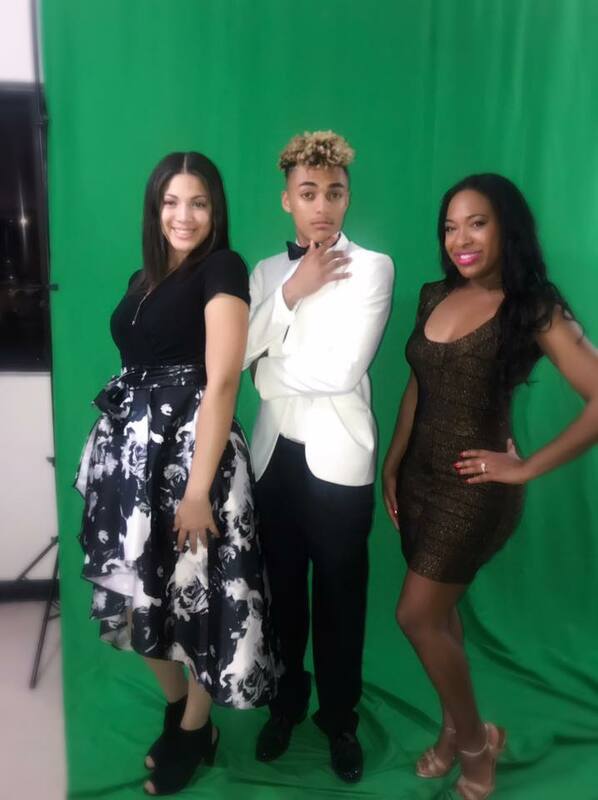 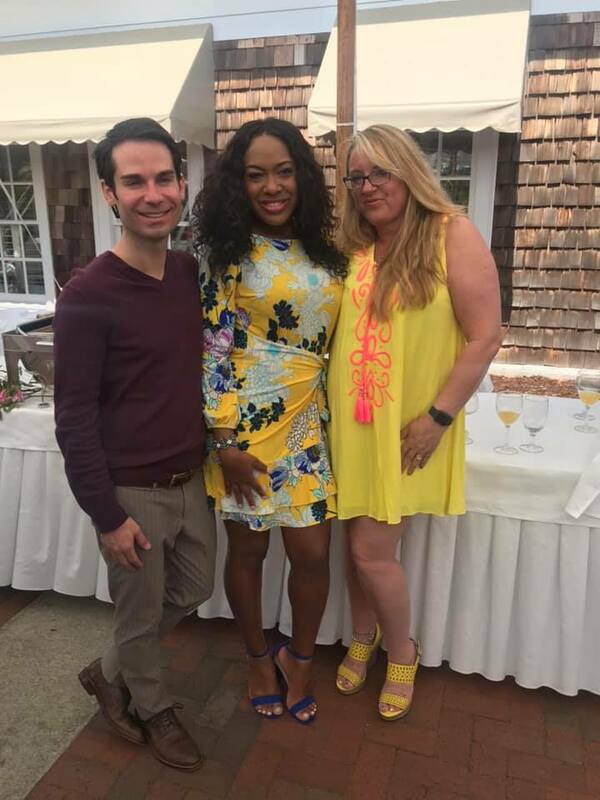 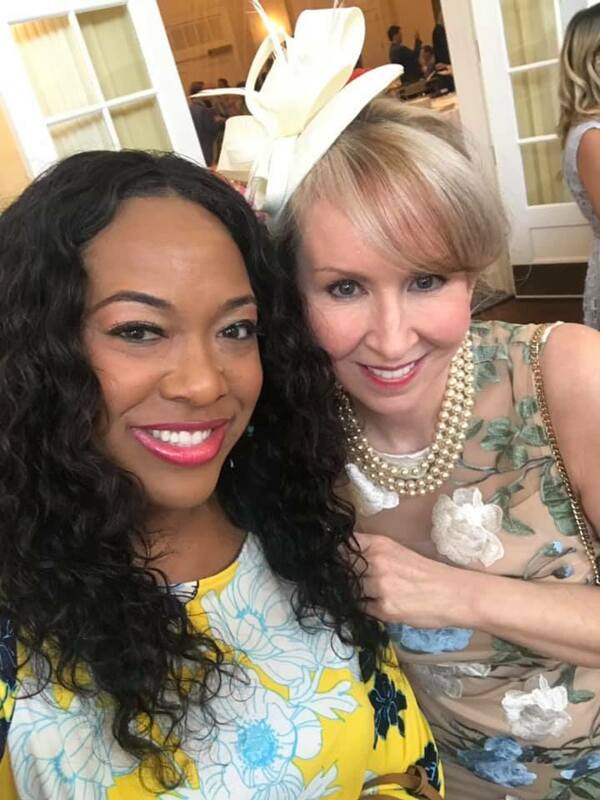 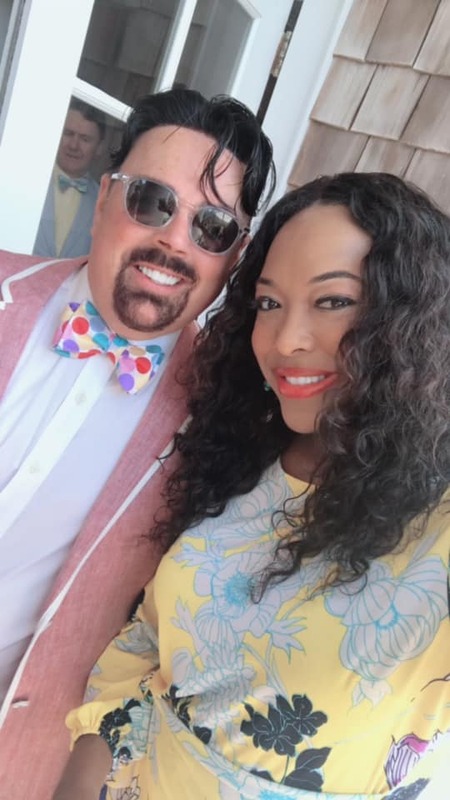 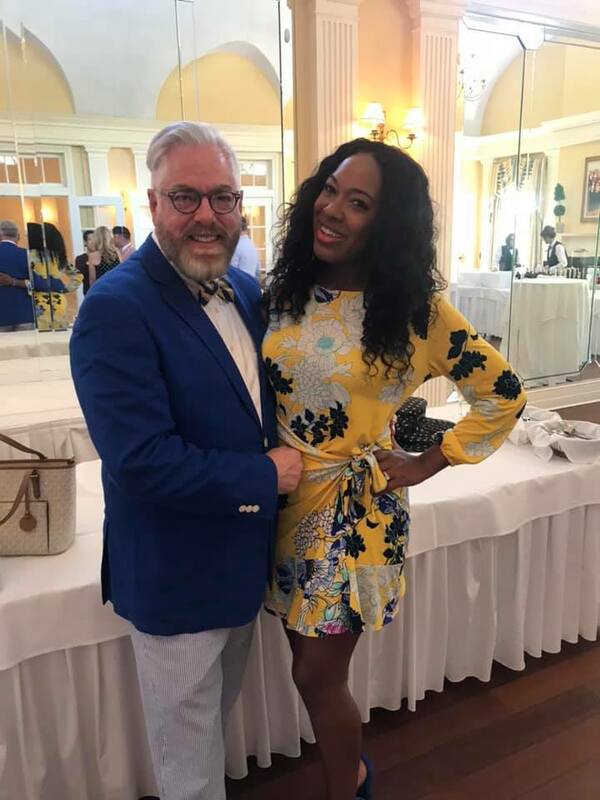 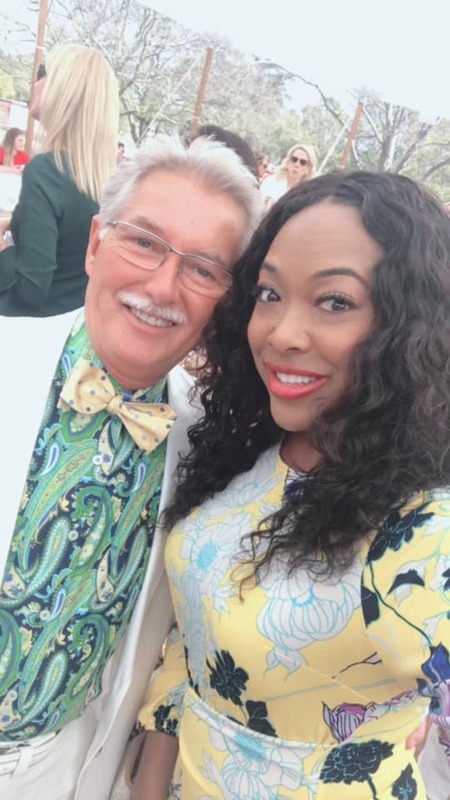 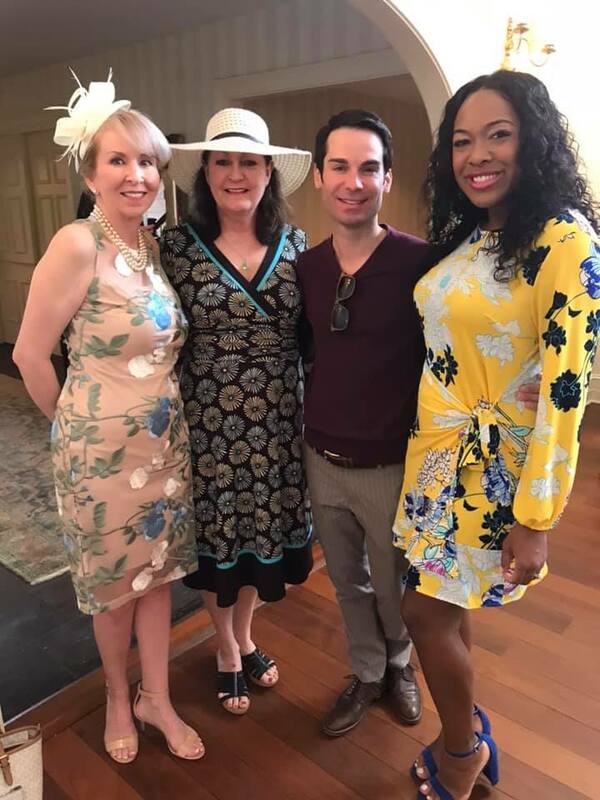 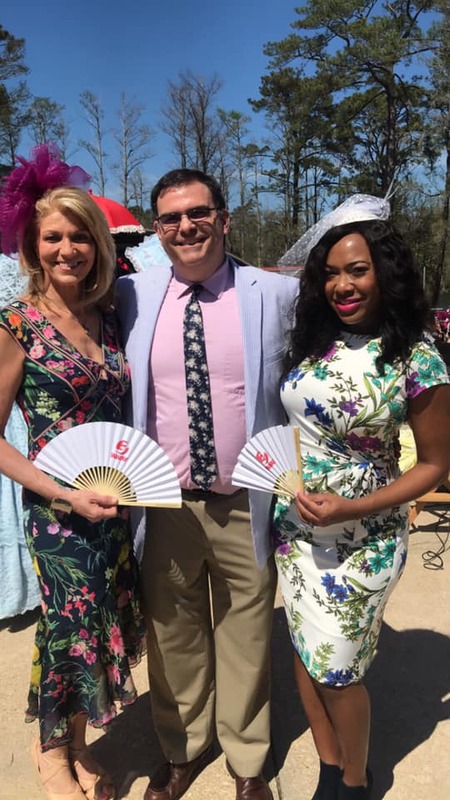 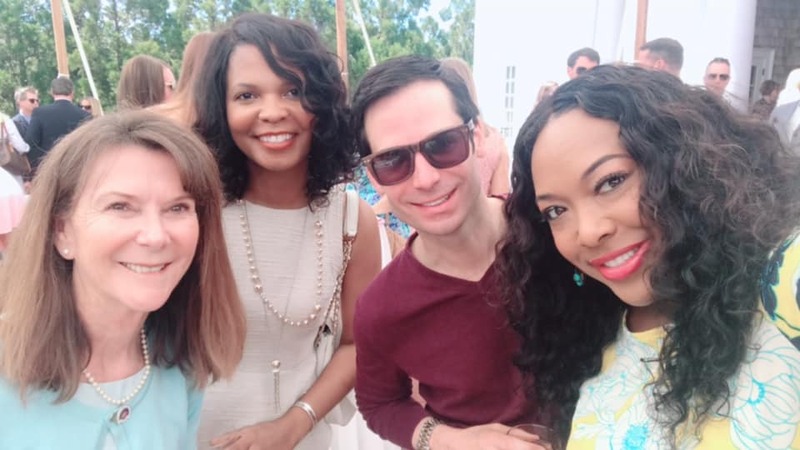 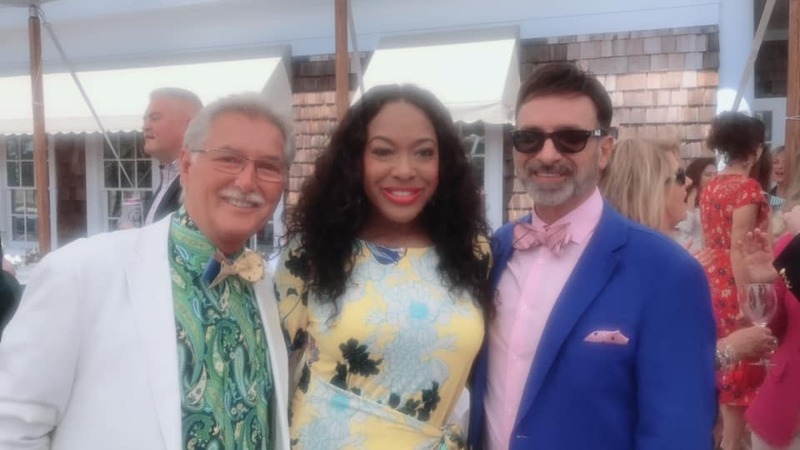 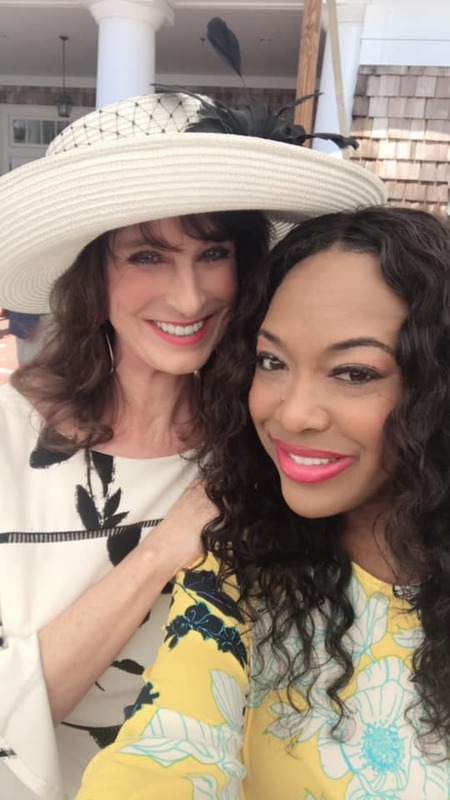 Amanda had a chance to attend the awesome Azalea festival Celebrity reception as the Cape Fear Country Club in Wilmington Thursday morning.. More than a hudreds people attended the annual event which highlights local celebs and also gives people a chance to meet the Queen Azalea. 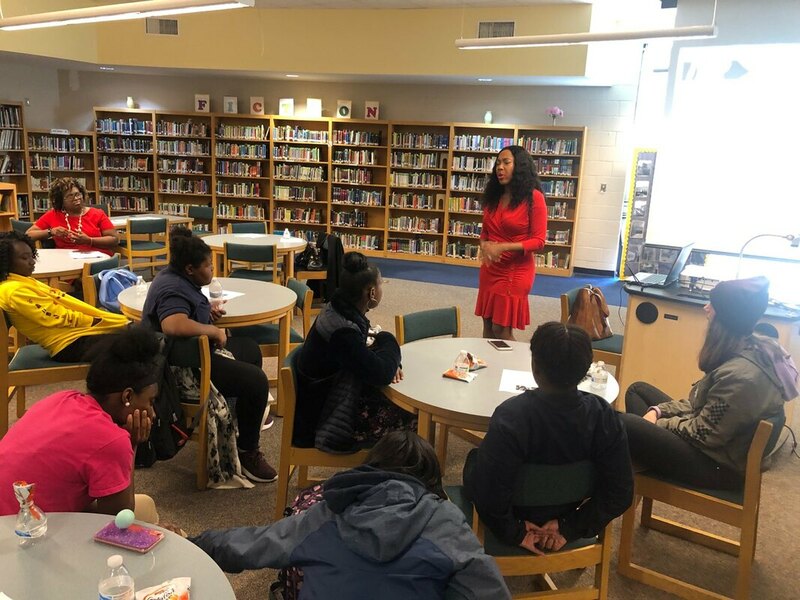 Amanda stopped by Williston Middle school to talk to the young girls there about making good choices and bullying. 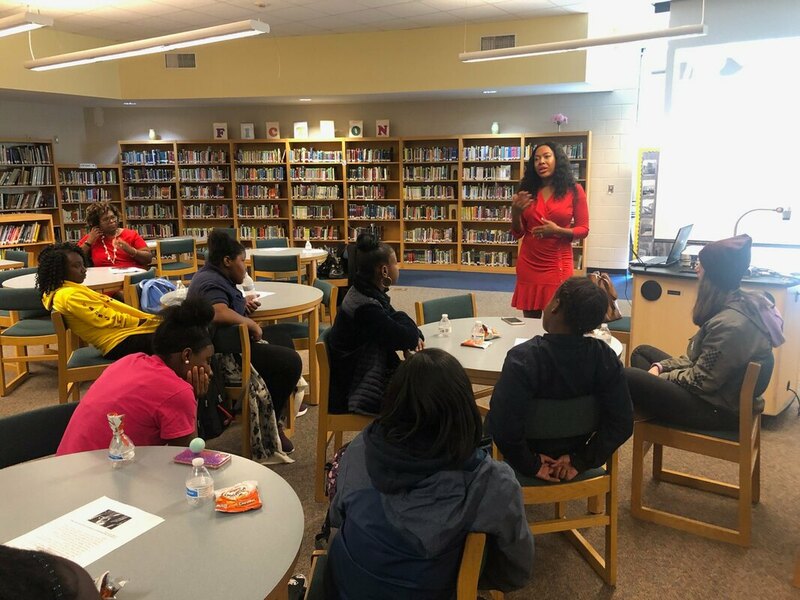 Many say they were excited to learn about her journey to become a news anchor and also get tips on how to combat bullying in schools. 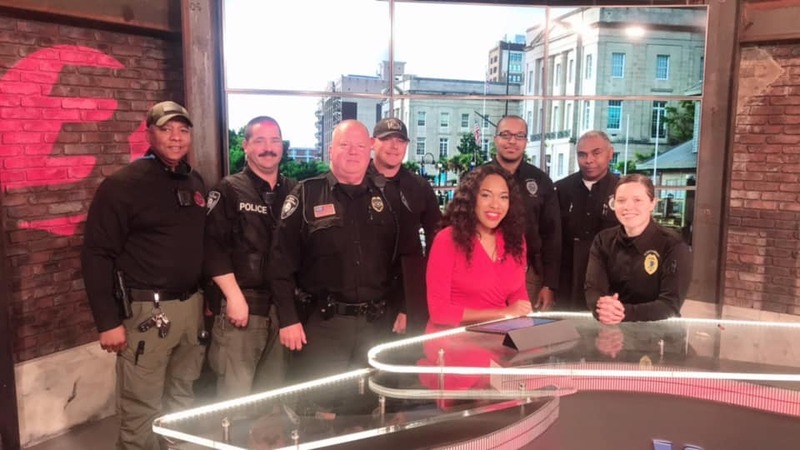 So excited to meet members of our local law enforcement teams at WWAY news studios. 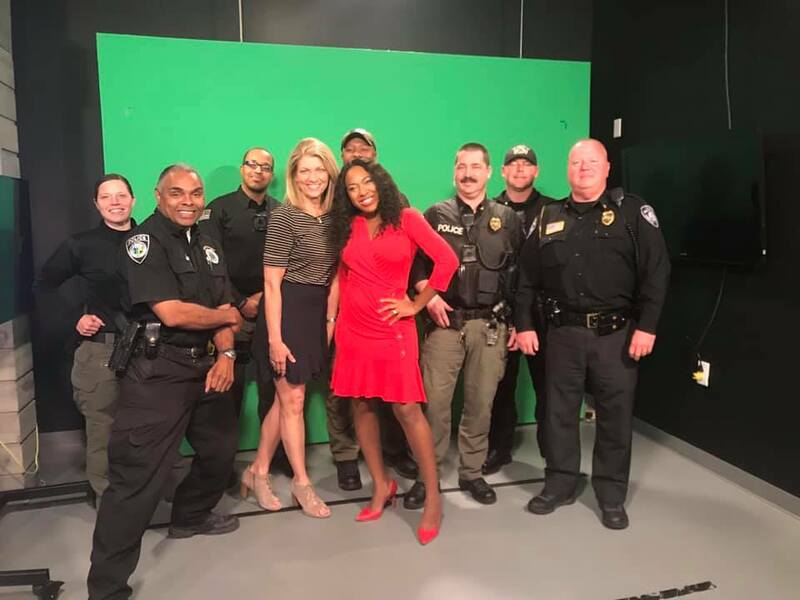 Our station provided free pizza courtesy of Papa Johns who partnered with us for the amazing appreciation event. 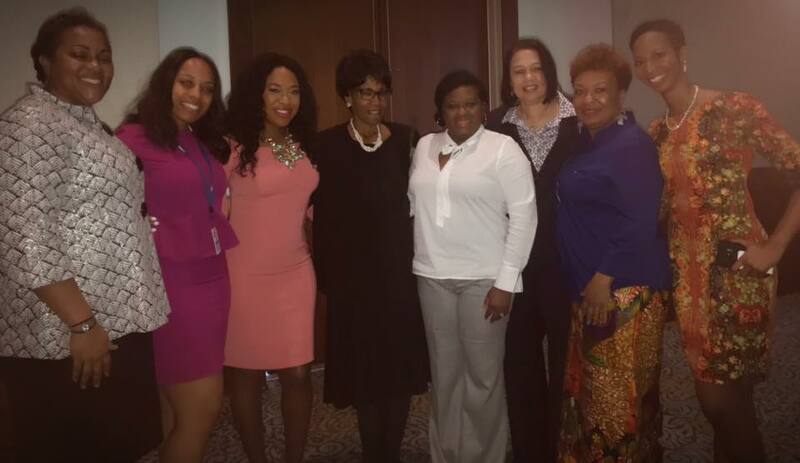 Great event at the Wilmington convention center, where Miss American and Judge Anita Earls were the guest speakers. 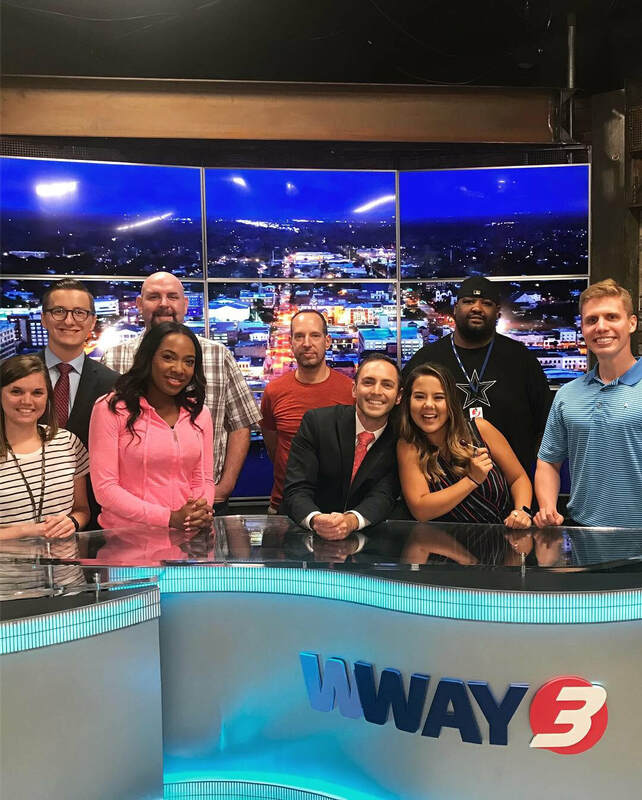 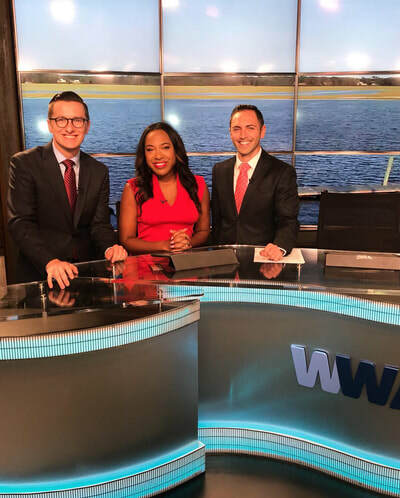 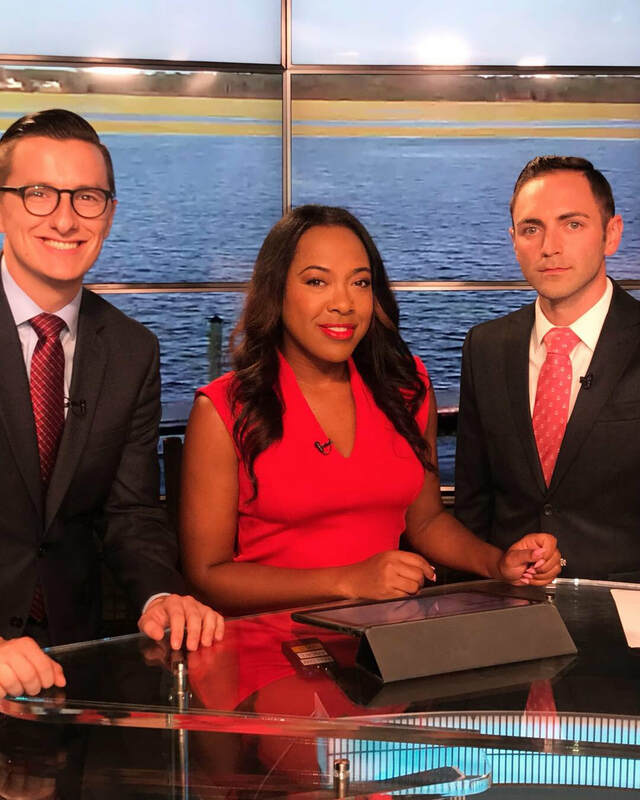 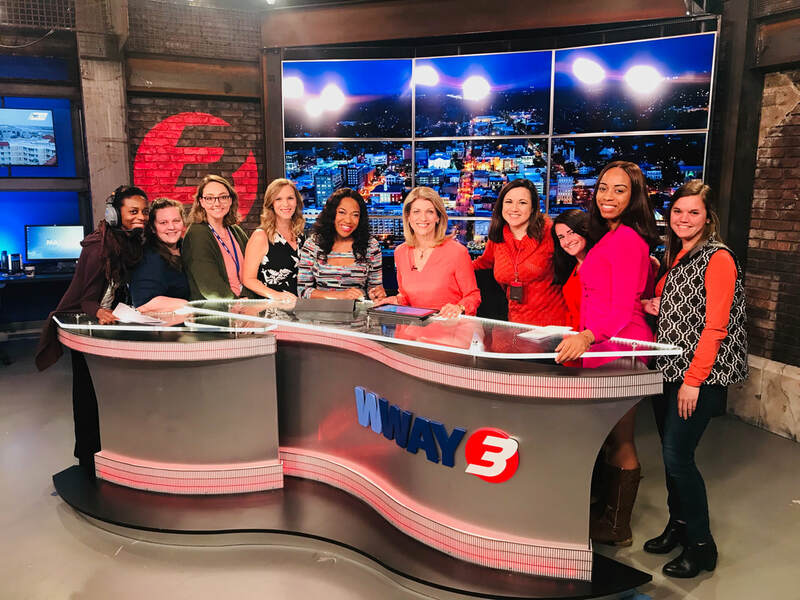 WWAY has a great staff of women who work on-air and behind the scenes each and every night to bring our viewers the latest news. 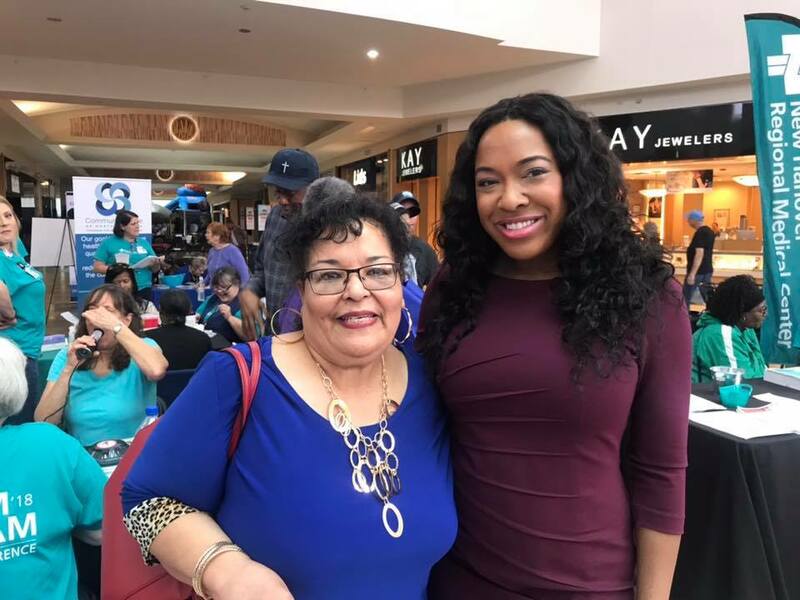 Each year WWAY and New Hanover Regional Medical Center host an annual WWAY Health Fair! 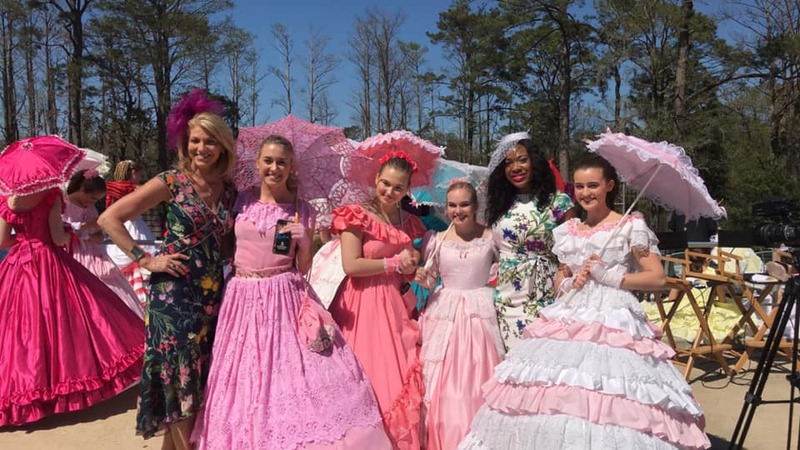 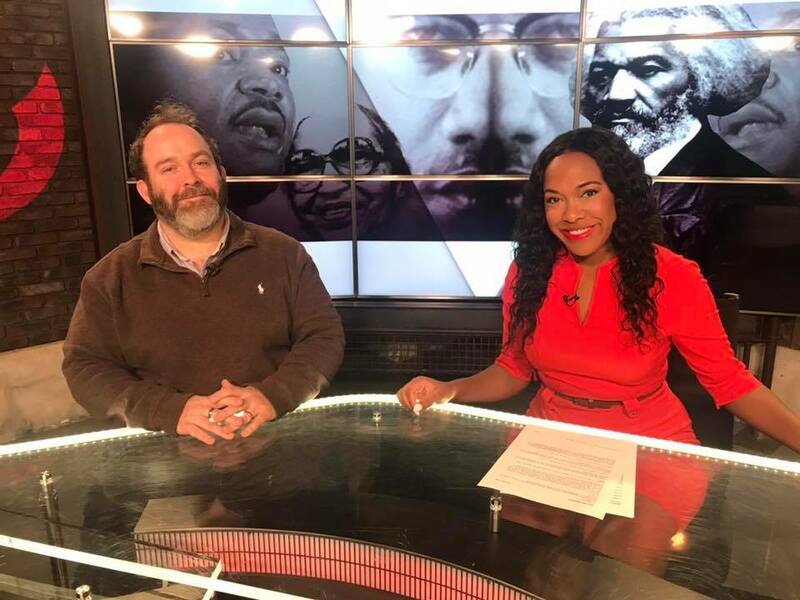 The event took place on Thursday, February 21, 2019 at Independence Mall in Wilmington, North Carolina. 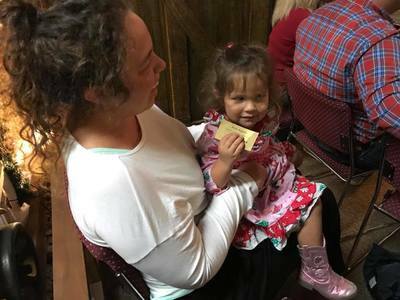 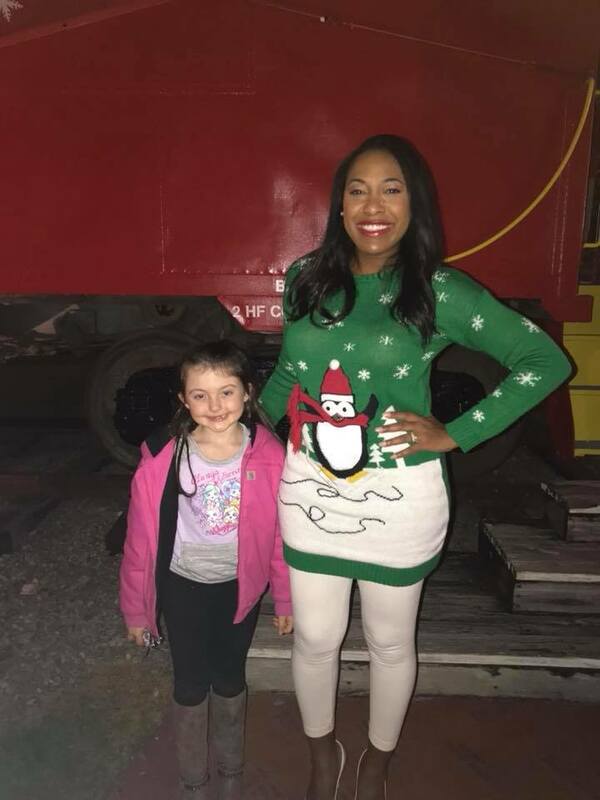 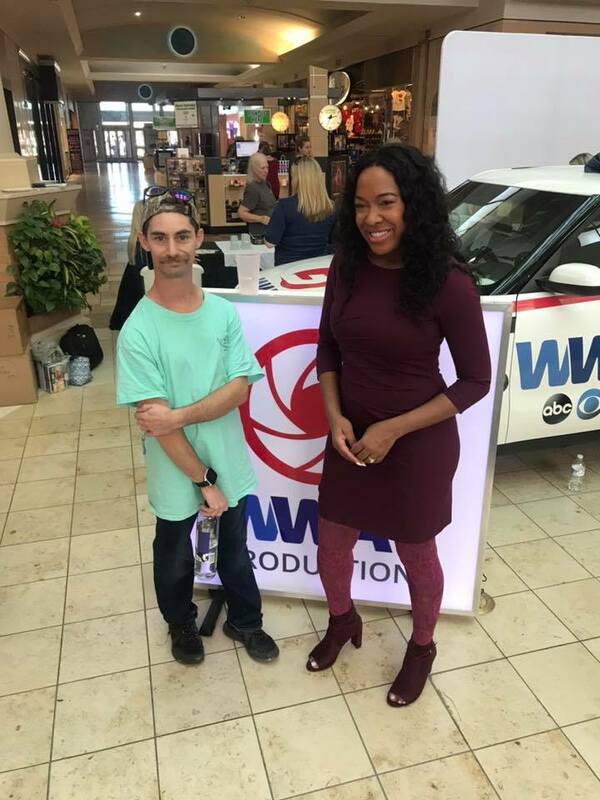 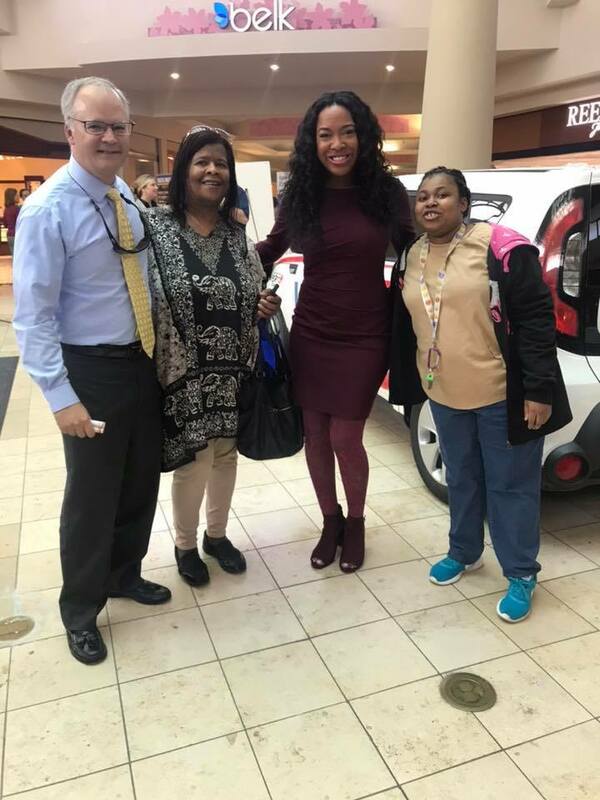 Amanda got a chance to meet with viewers and even participate in local health testing and speak to the community about learning how to feel better and live longer. 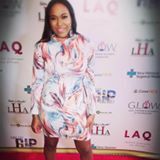 Amanda will join the Cucalorus Film Festival Connect Conference Connect Board member. 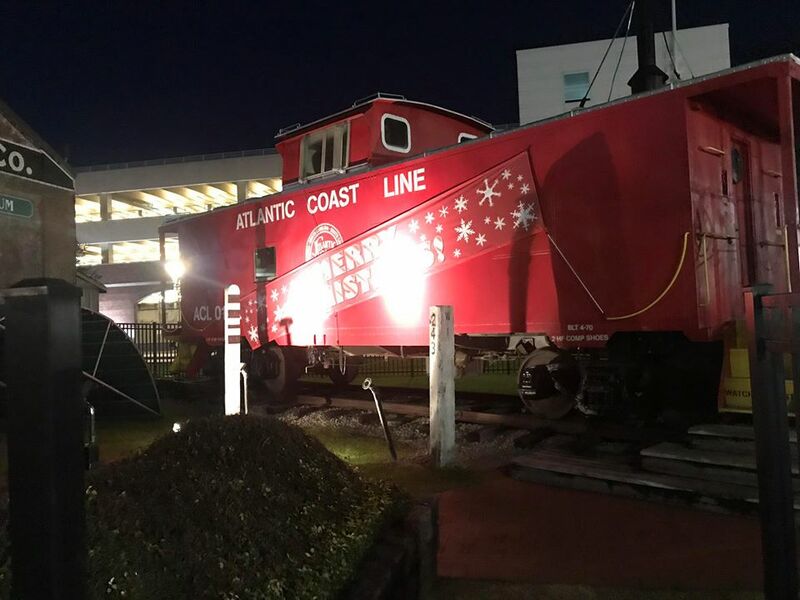 The 24th annual Cucalorus Festival takes place November 7-11, 2018 in downtown Wilmington, North Carolina. 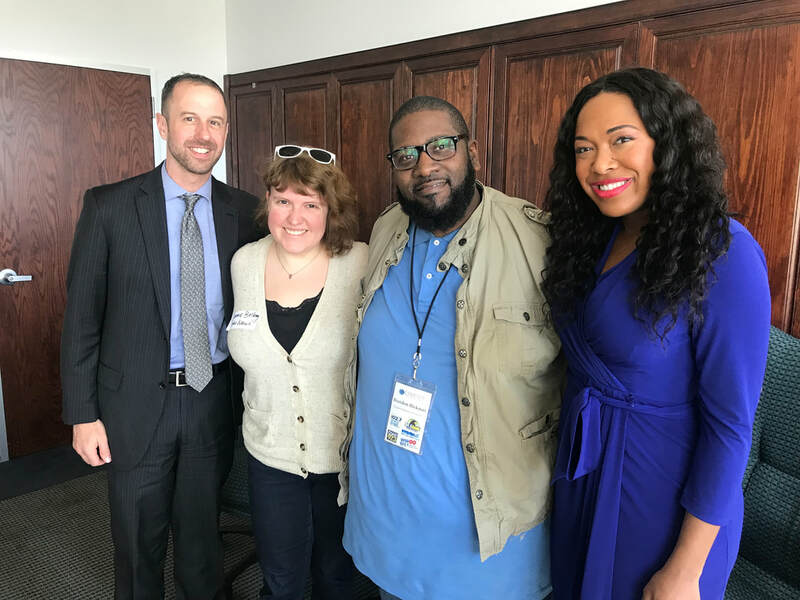 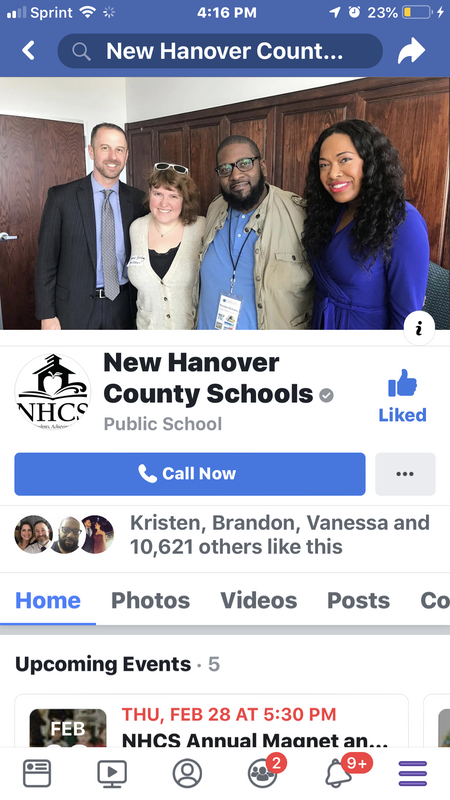 New Hanover County Schools held a regional conference for public information officers to learn from local media about how to better communicate. 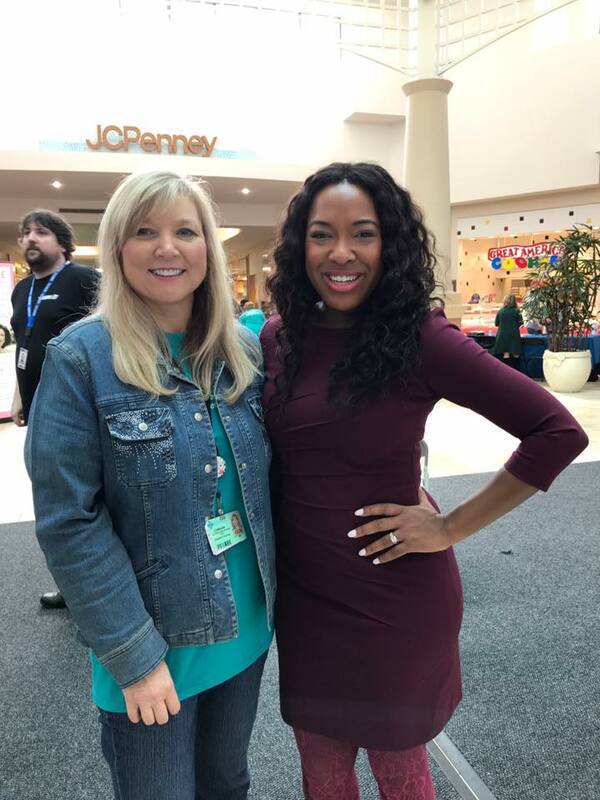 Amanda spoke at the event about how to use school resources to get their stories on air. 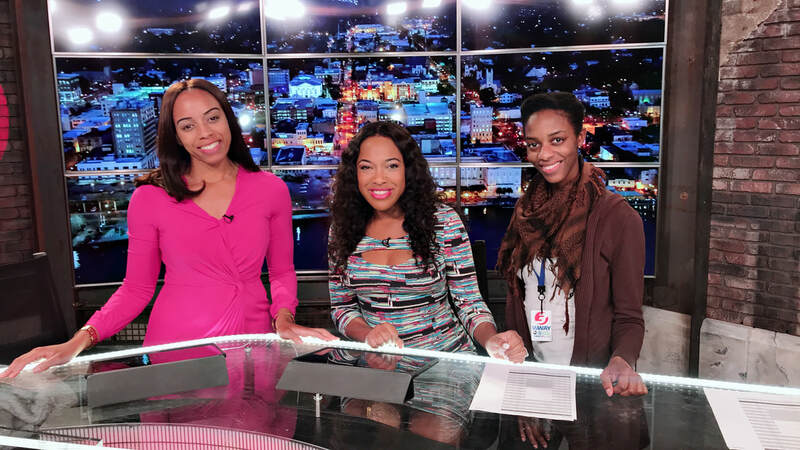 She joined the news director from NBC, program director from Coast 97.3 and the Starnews education reporter. Participants say they really learned how to better communicate and tips to build a better bridge with journalists. 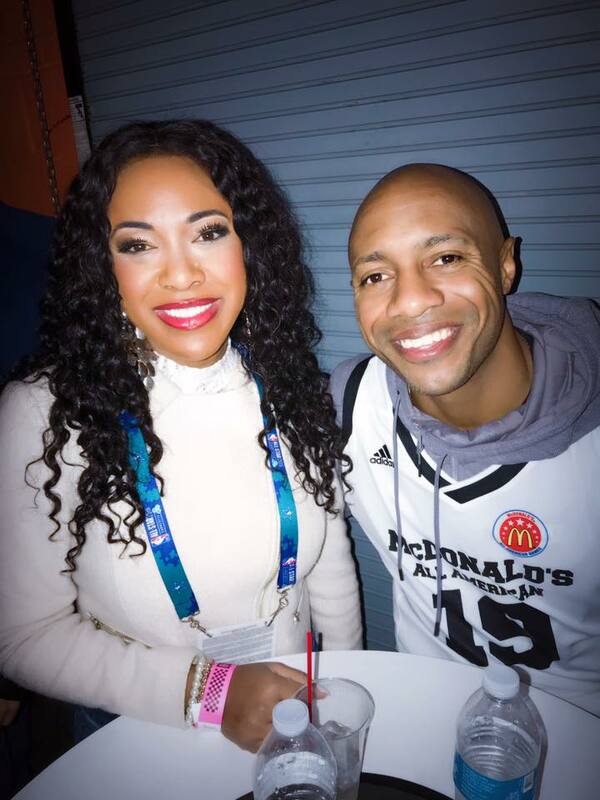 Amanda attended the NBA All star game weekend in Charlotte, NC in February. 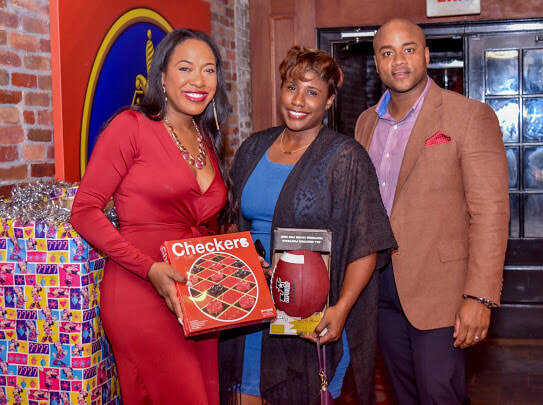 Hundreds came in town to attend pre-game events and the big game. 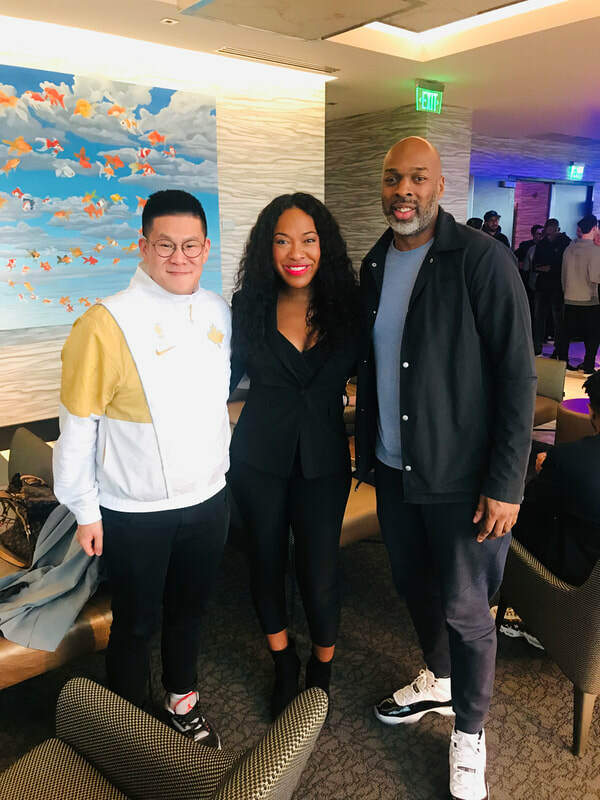 Amanda attended the Bleacher Report games and the media welcome reception for Nike. 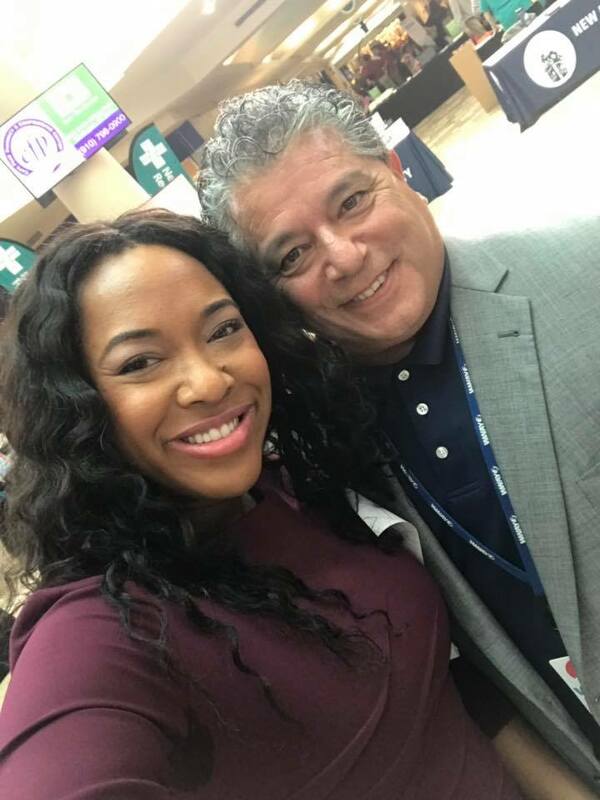 She also met some international journalist and had a great time! 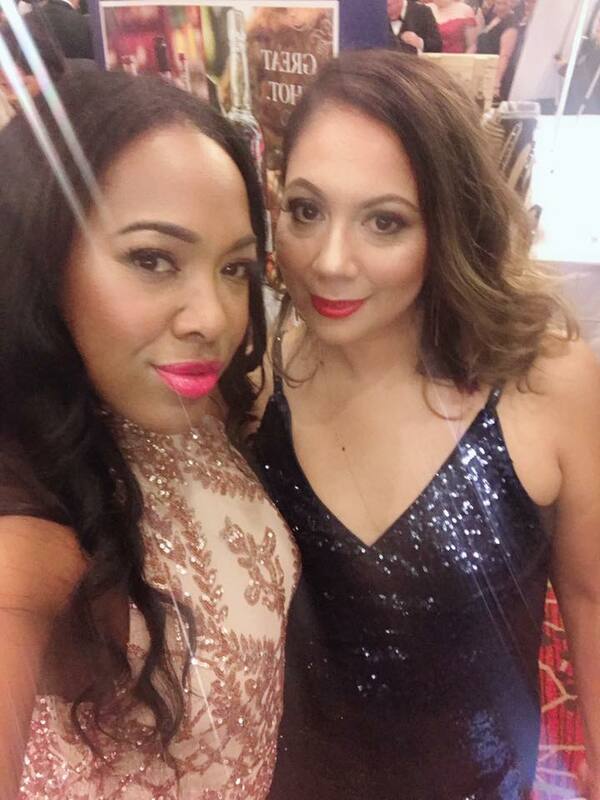 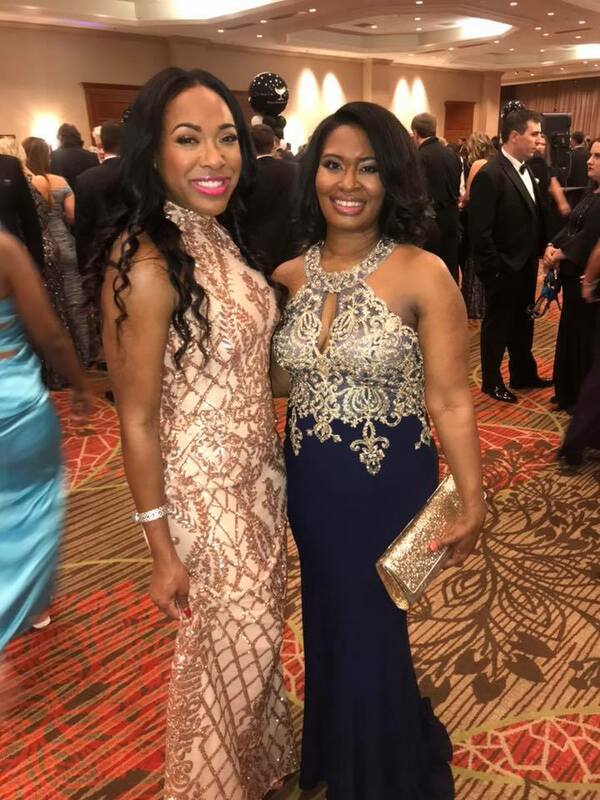 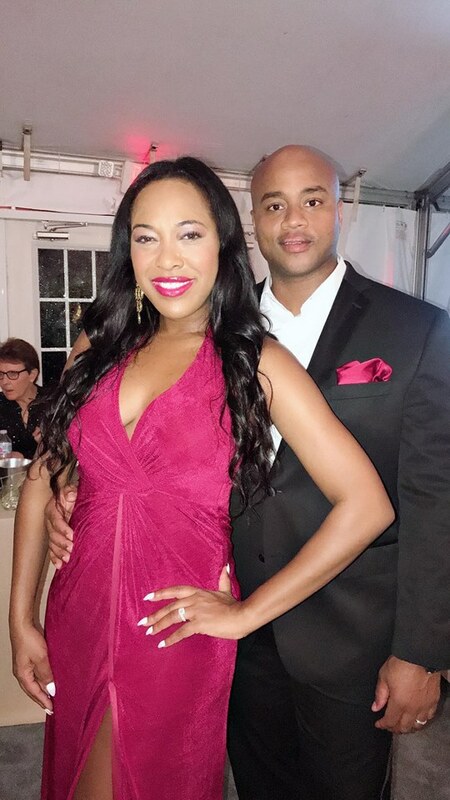 Thousands came out to the Dallas Margarita Ball in Dallas, TX to donate toys and money for charity. 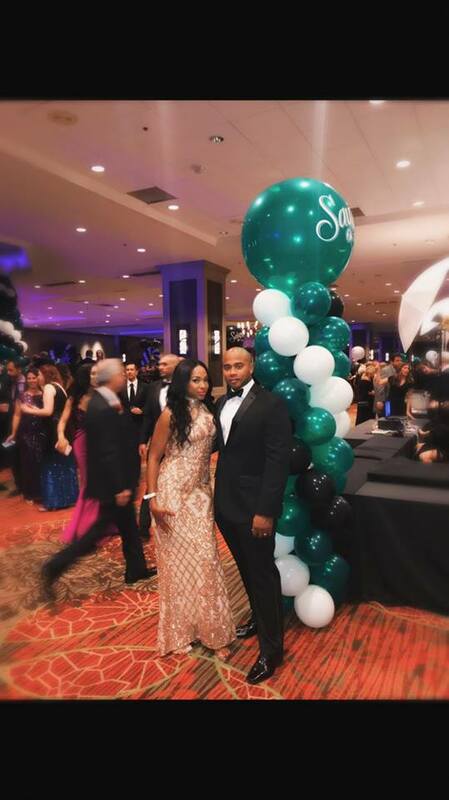 Today they host over 10,000 guests in what has become the largest Black Tie Charity in the World! 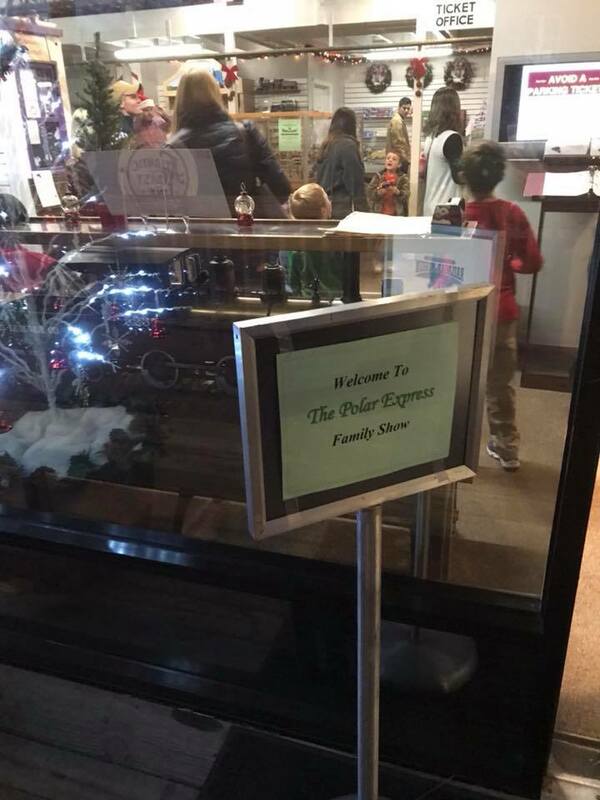 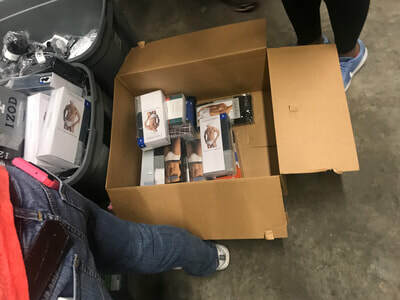 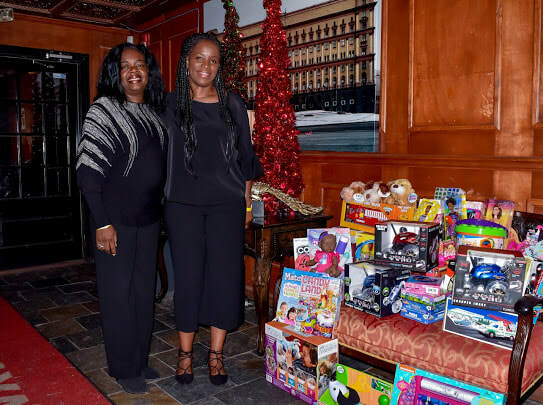 And because of this success we are able to assist the At-Risk Children of the Dallas / Fort Worth area and support those local community charities that are on the forefront and in the trenches with these Children! 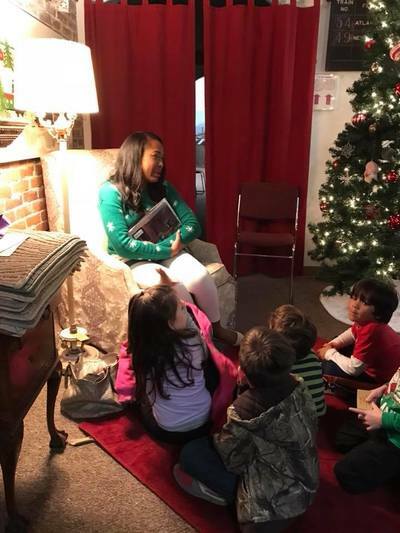 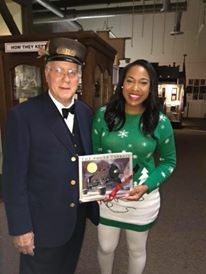 Amanda reads the Polar Express book to a group of kids before they get a surprise visit from Santa. 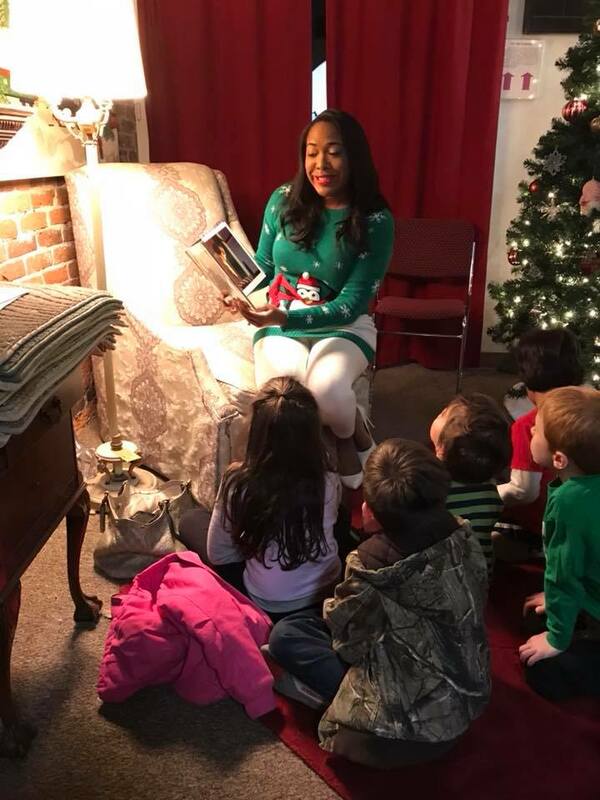 Each year she takes time out to read the book and greet the kids and their families. 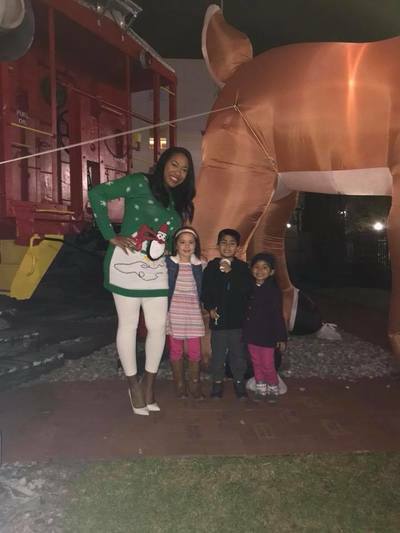 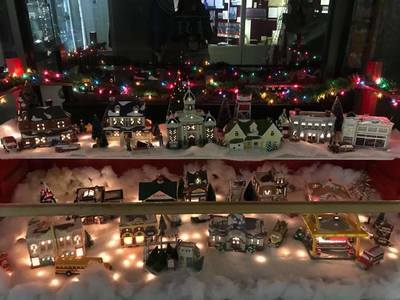 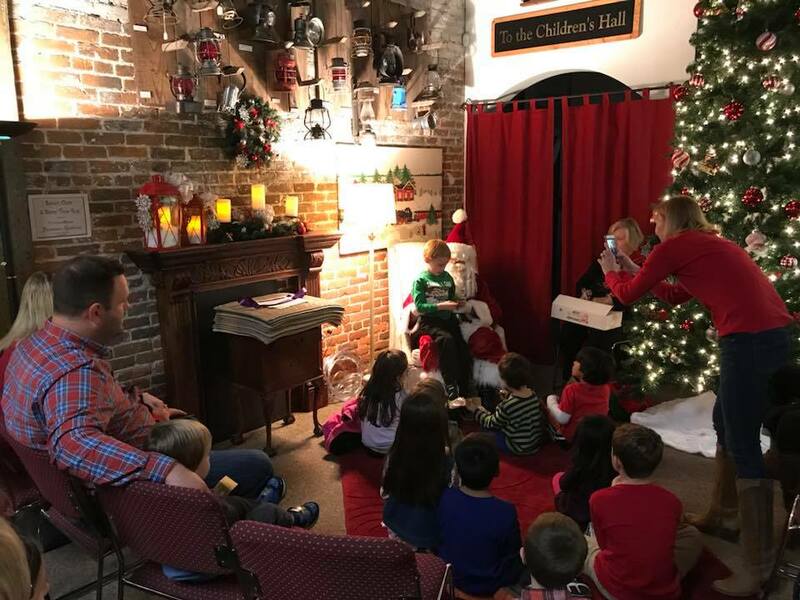 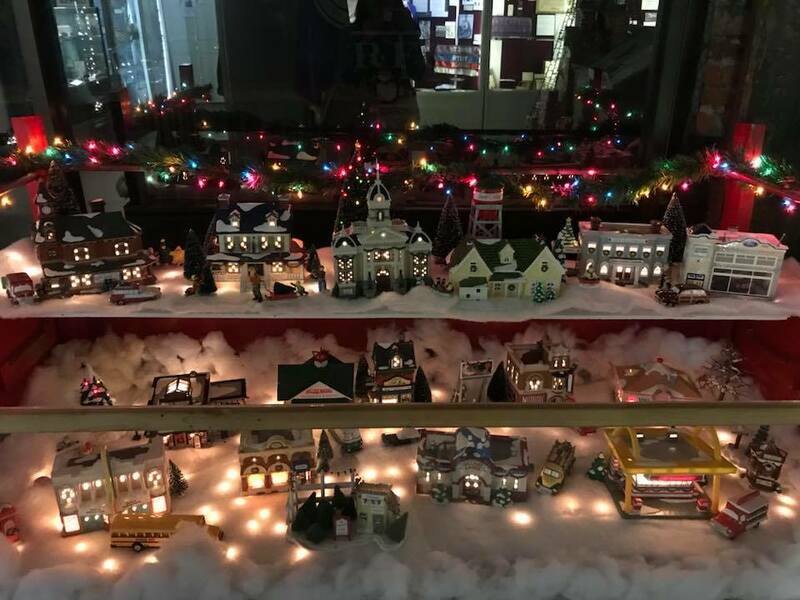 This year was no different and many of the kids say they really enjoyed the hot cocoa, visit with Santa and hearing their favorite Christmas book read by Ms. Fitzpatrick. 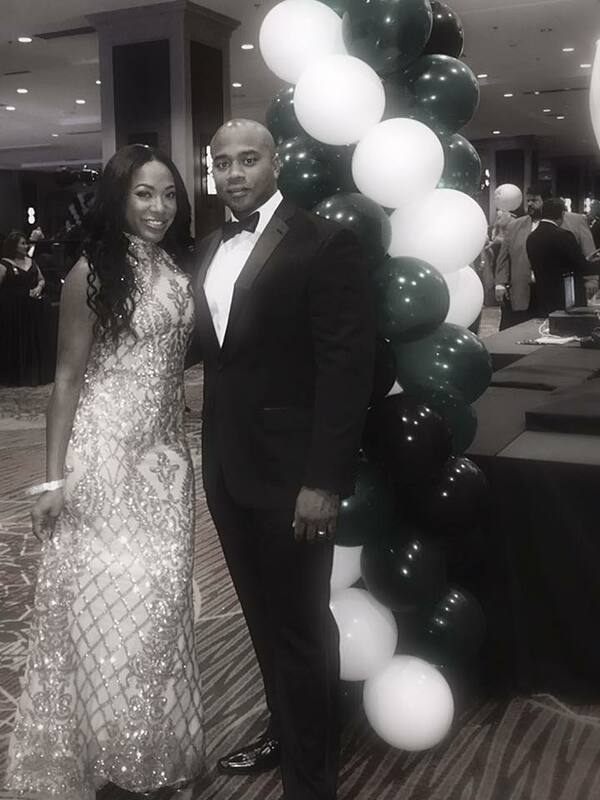 It was a great night for charity at the Community Boys and Girls Club Champions for Children Gala. 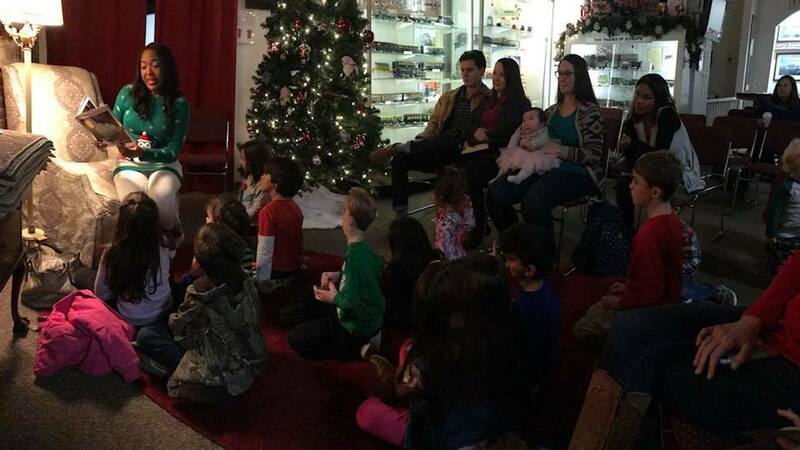 Everyone got a chance to listen to stories from the youth who attend the center. 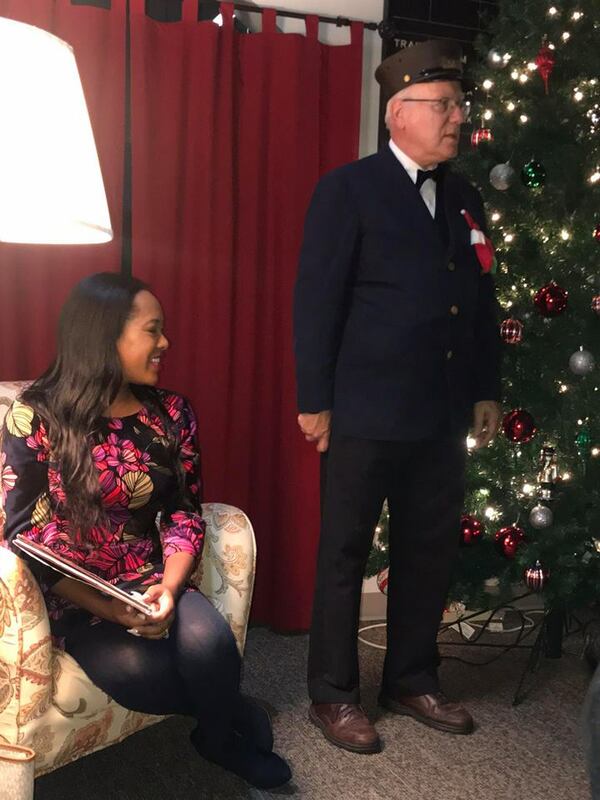 It was an honor to emcee the Harnett High School alumni reunion this year in Dunn, NC. 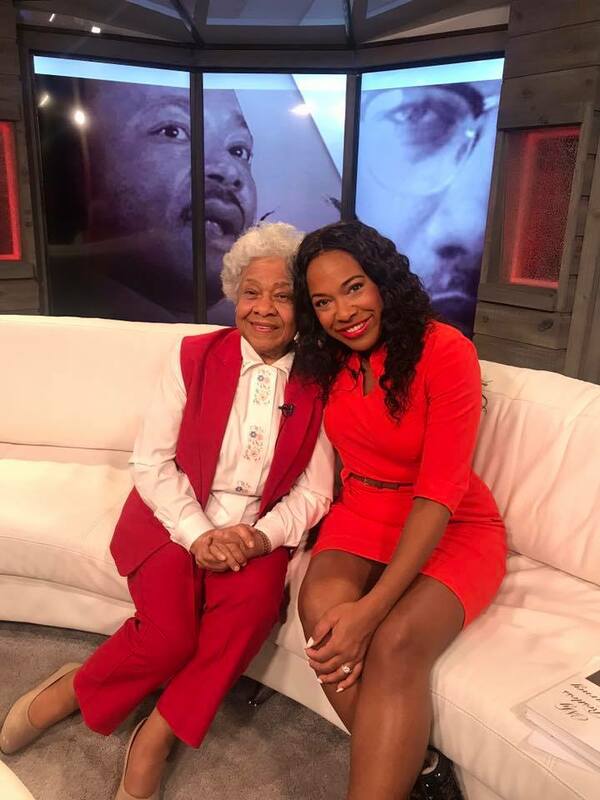 It was a all Black school with grades K-12 during segregation. 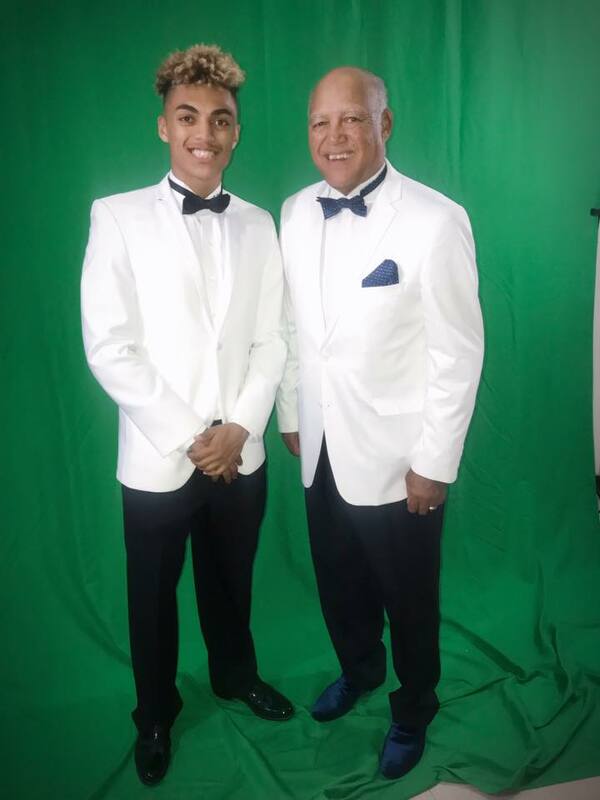 Each year the alumni host a fundraiser to raise money for college students who will attend a 4 year college. 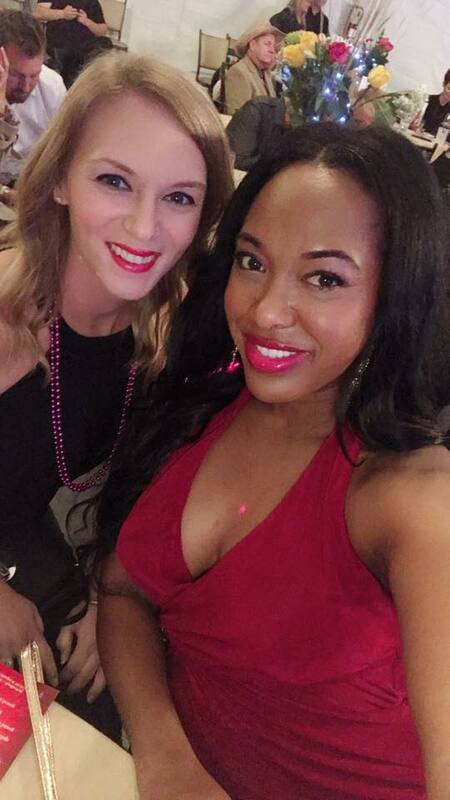 Amanda's dad John Fitzpatrick was the President and has raised thousands of dollars for students. To apply or donate money email jcfitp@msn.com . 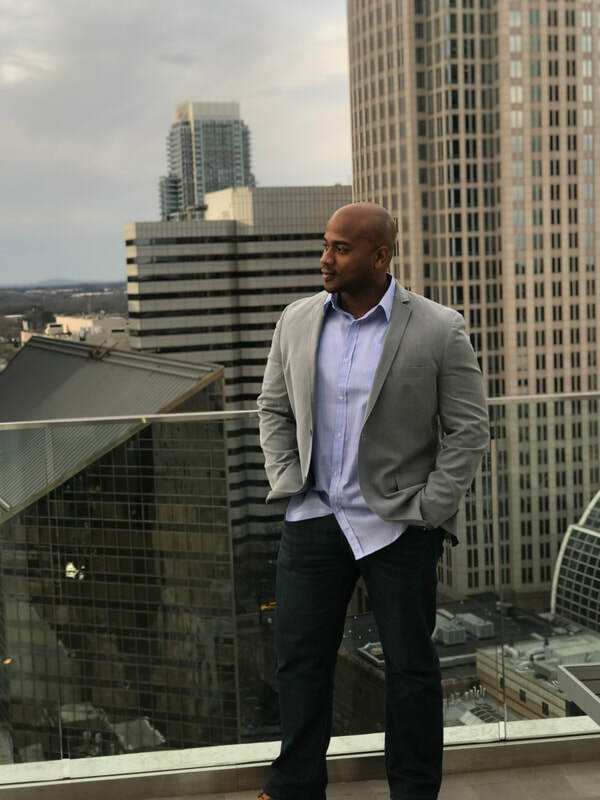 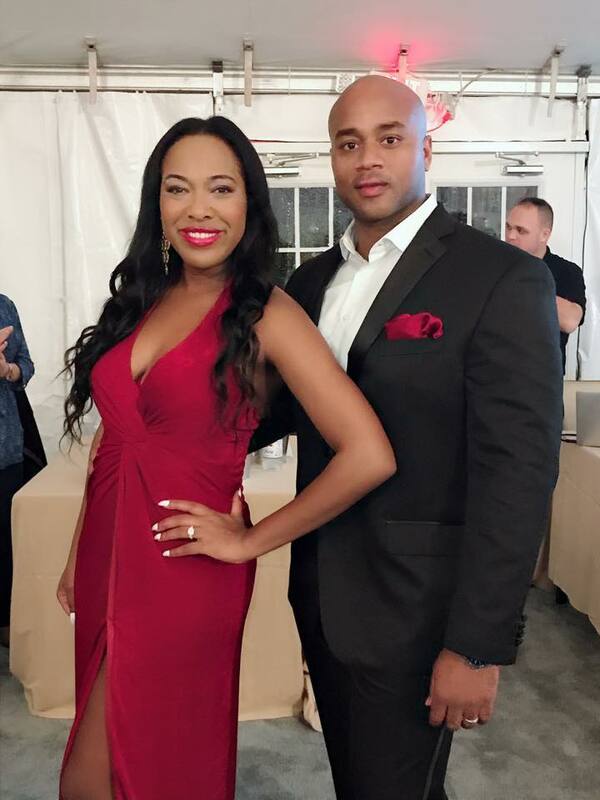 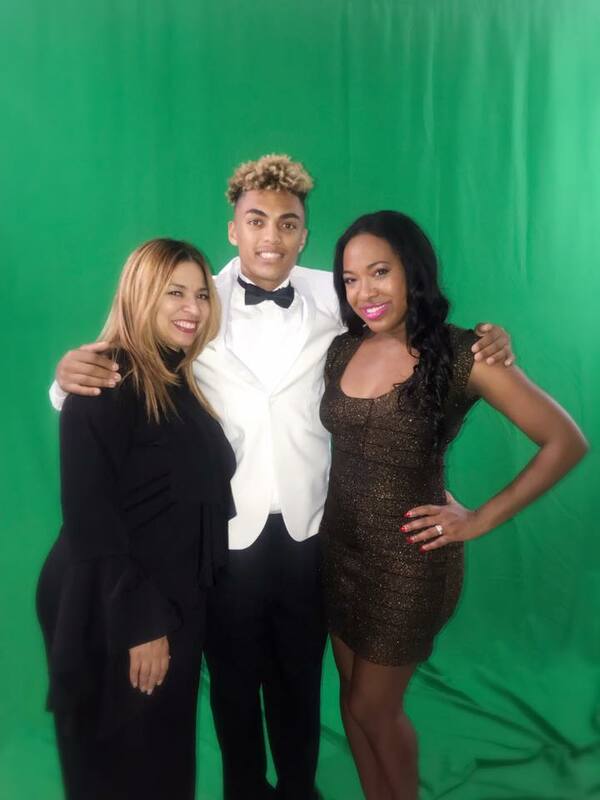 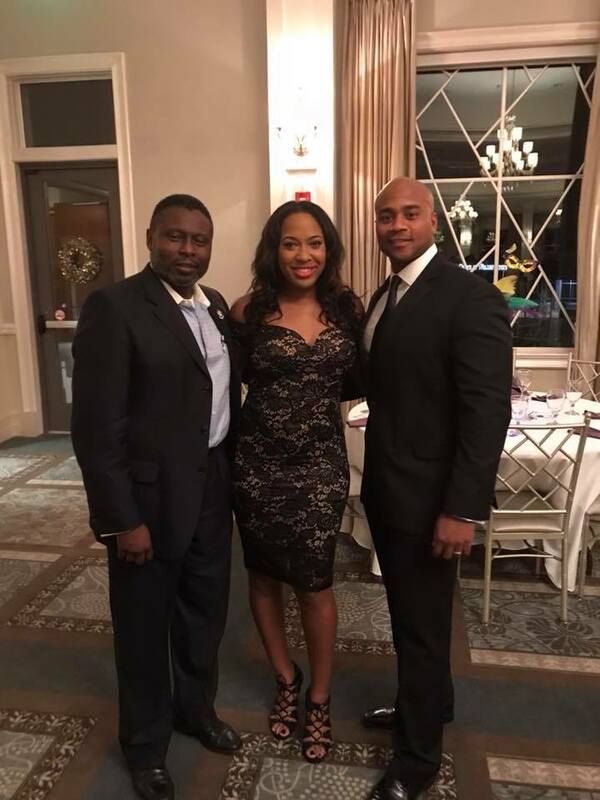 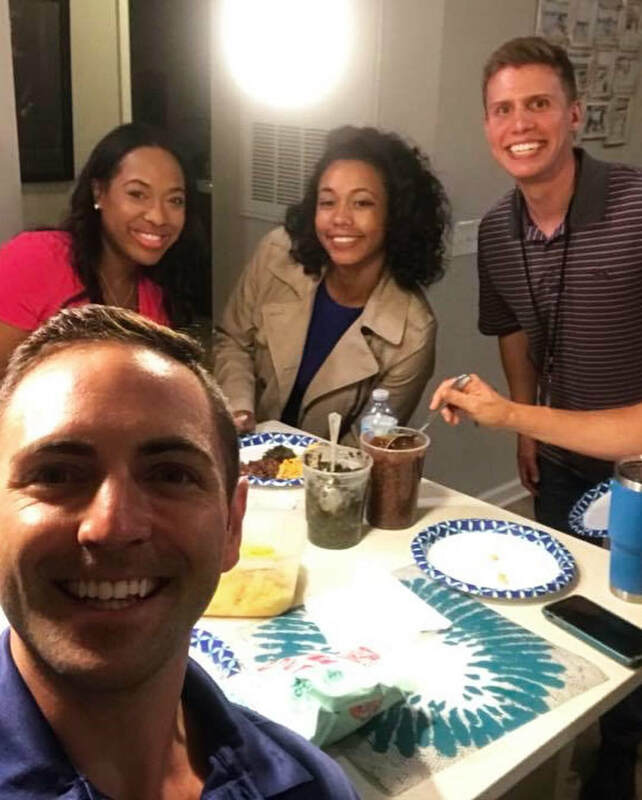 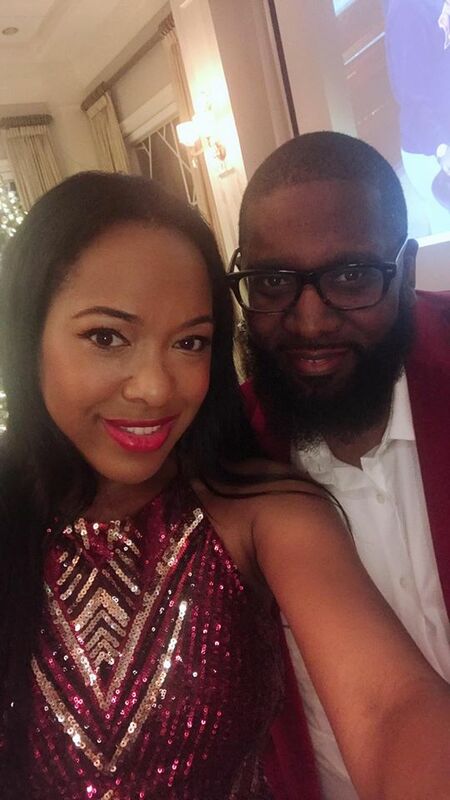 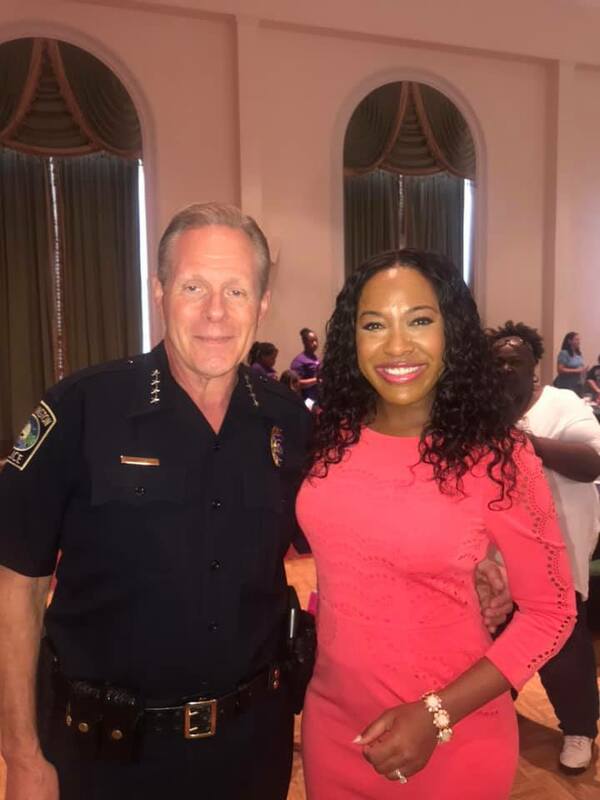 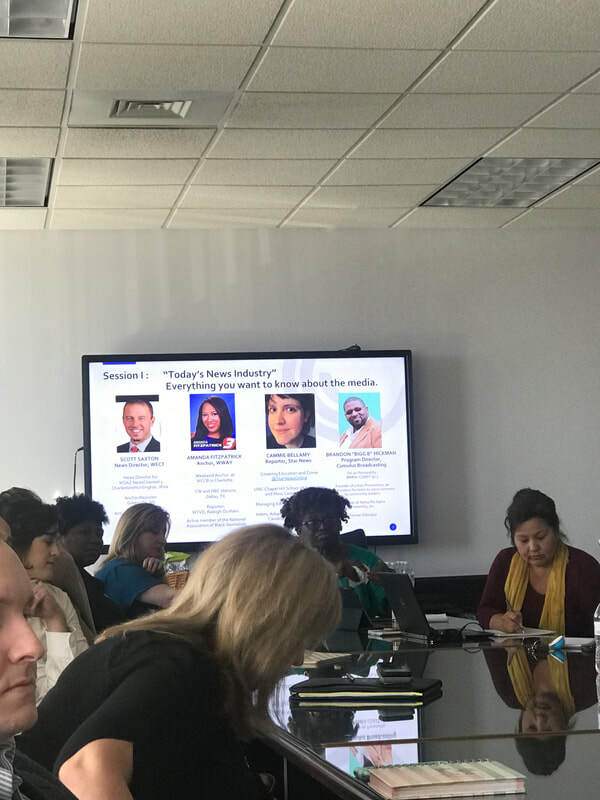 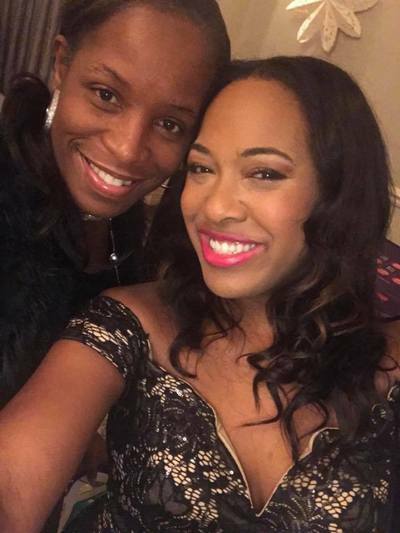 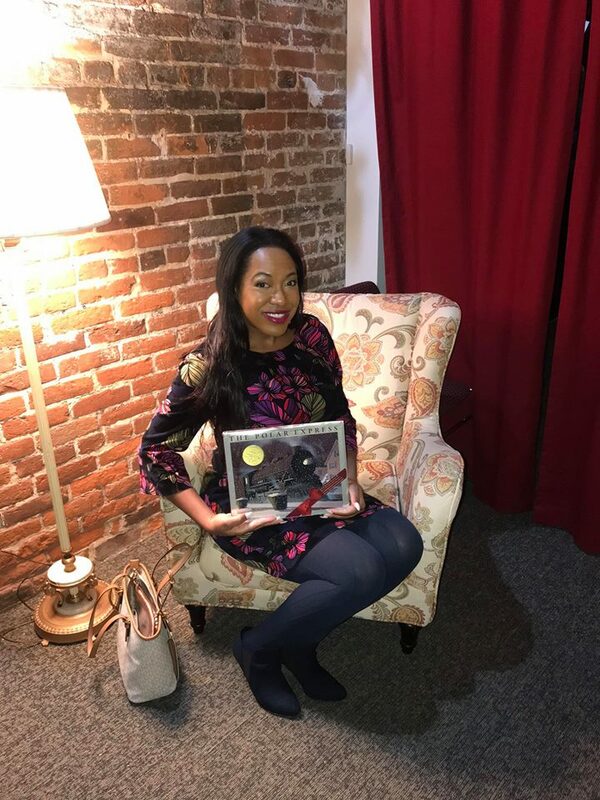 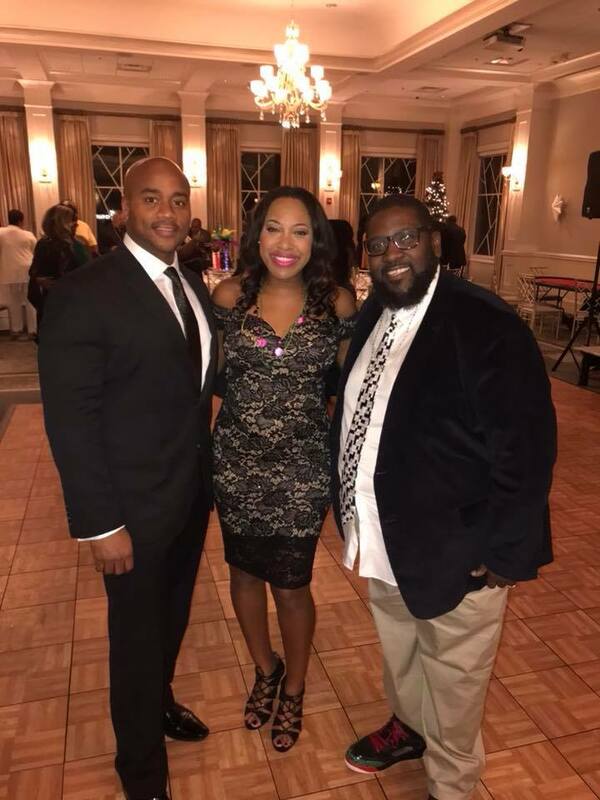 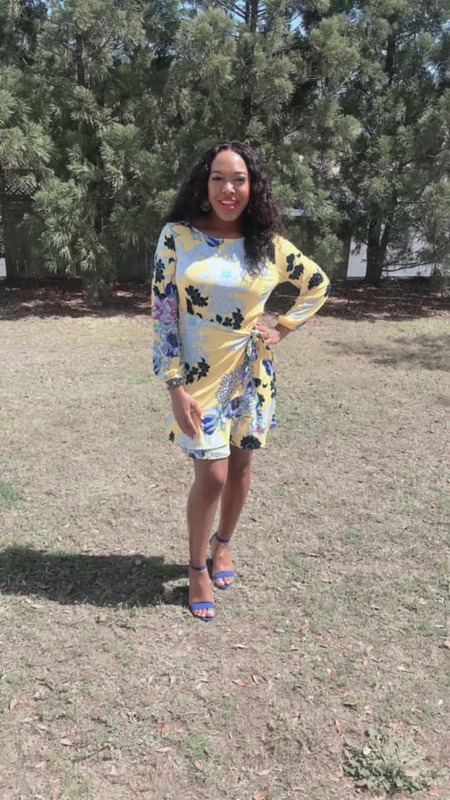 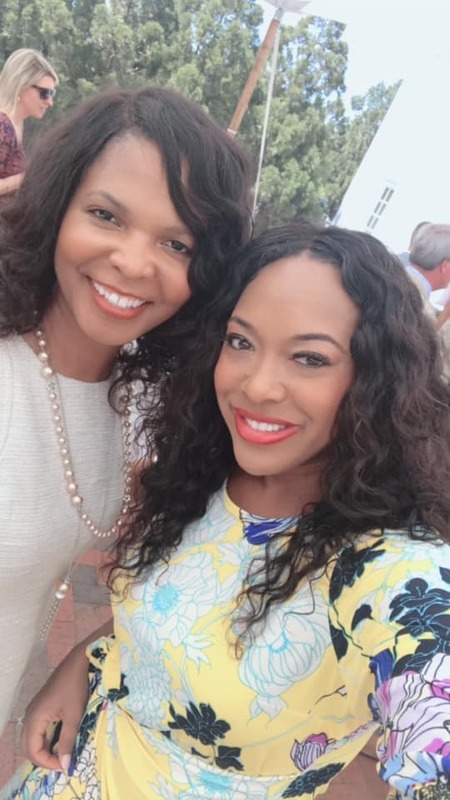 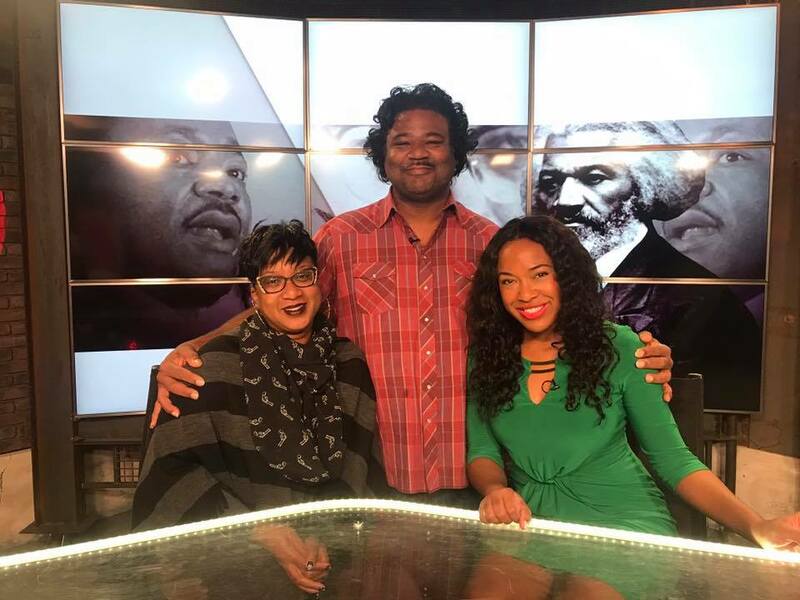 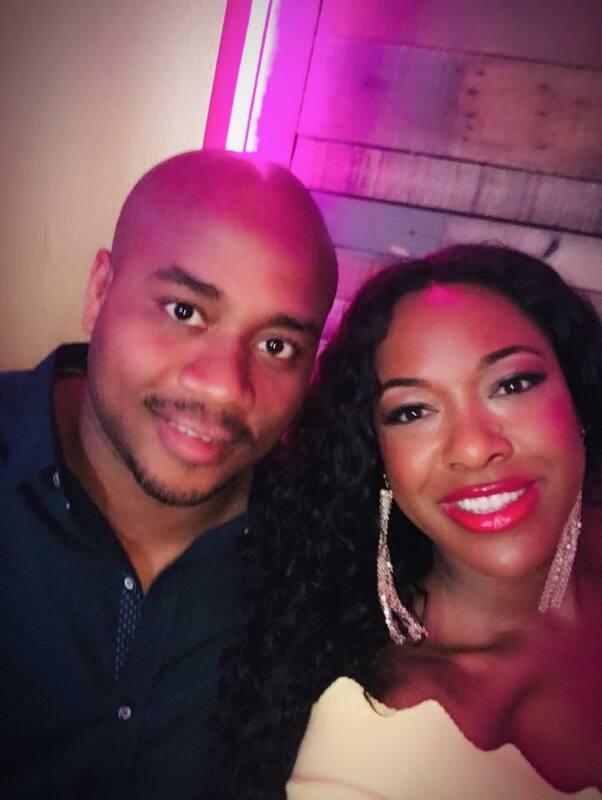 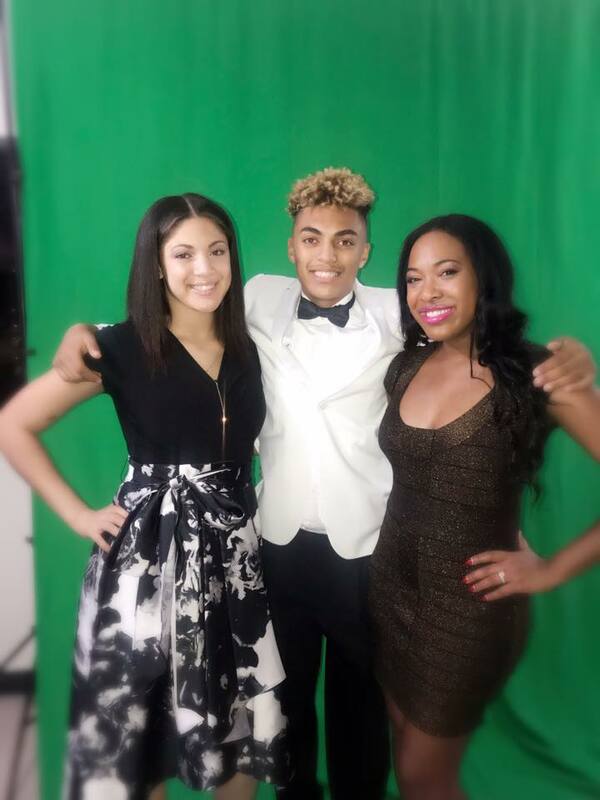 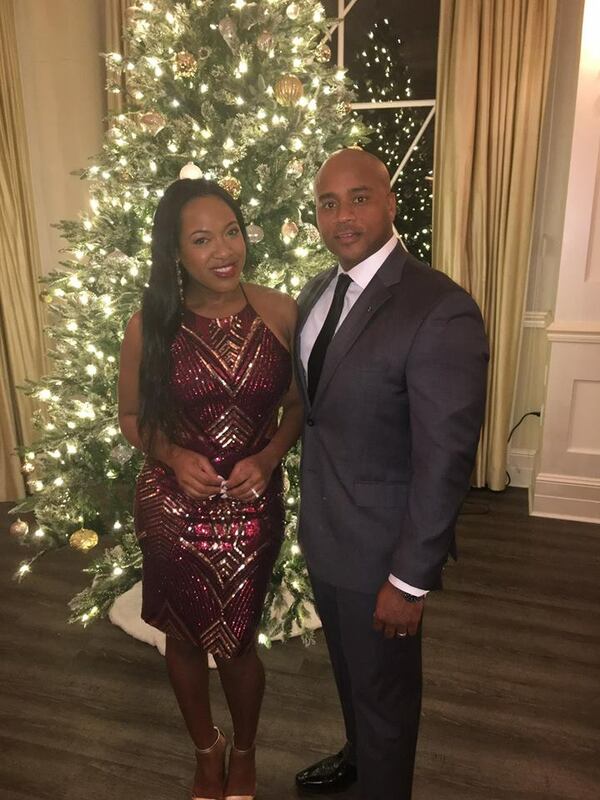 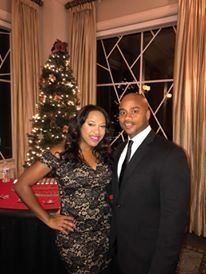 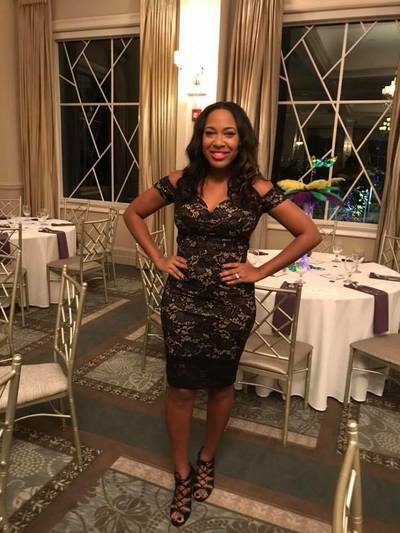 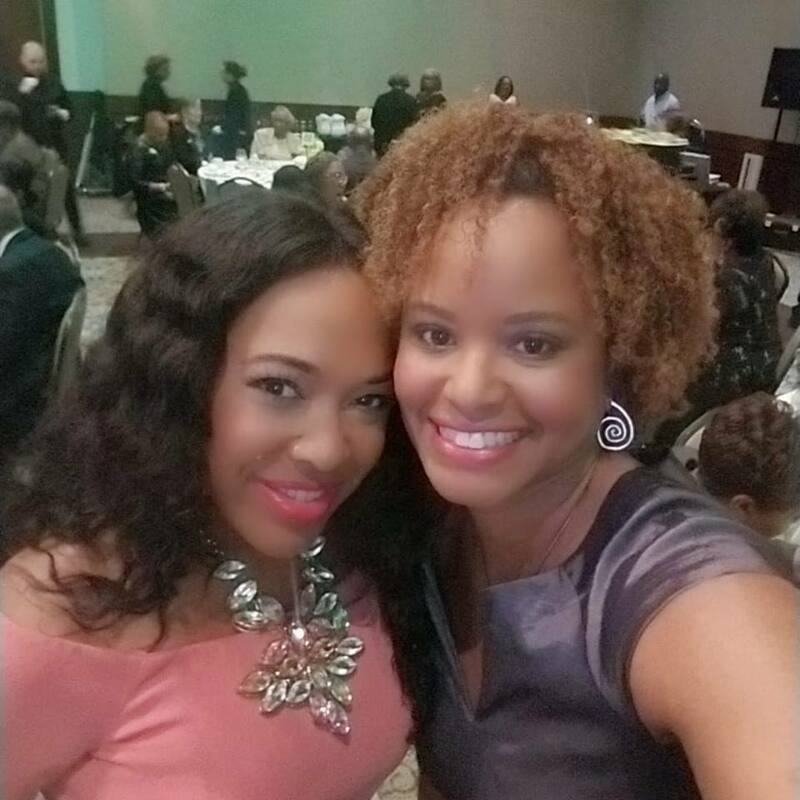 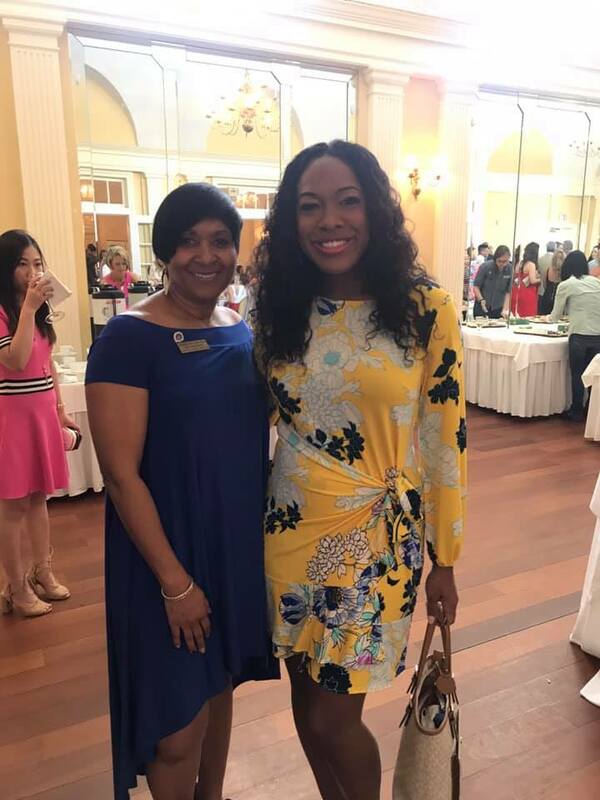 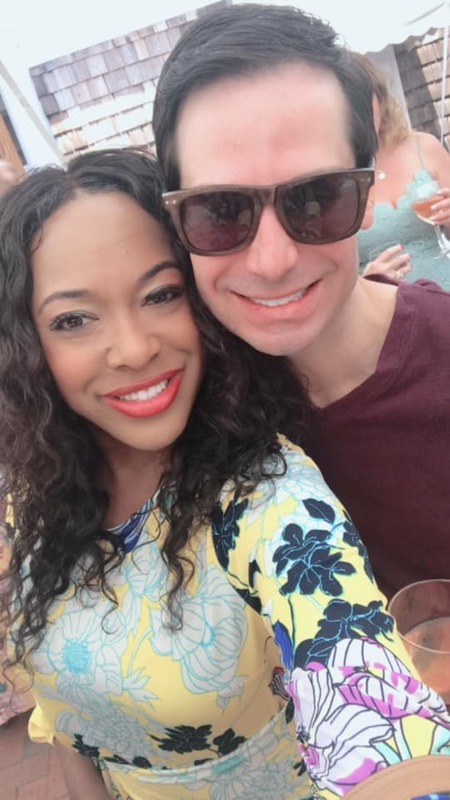 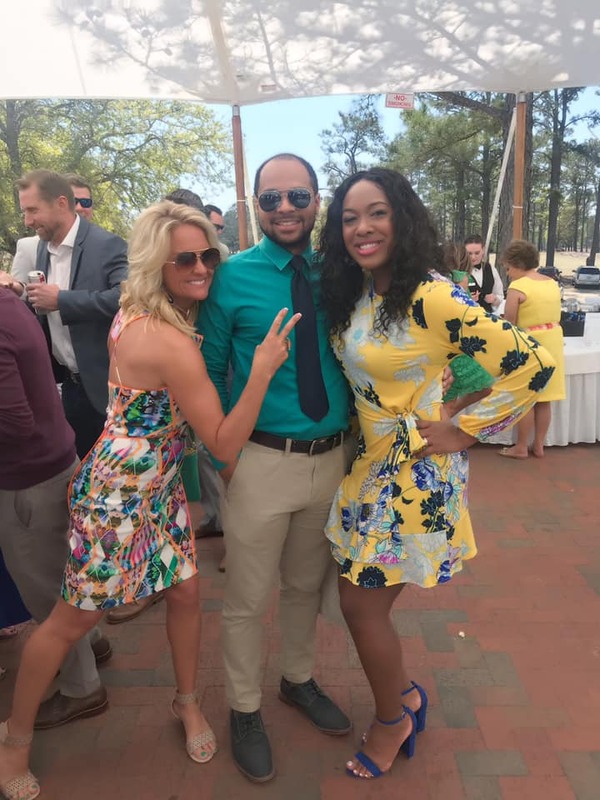 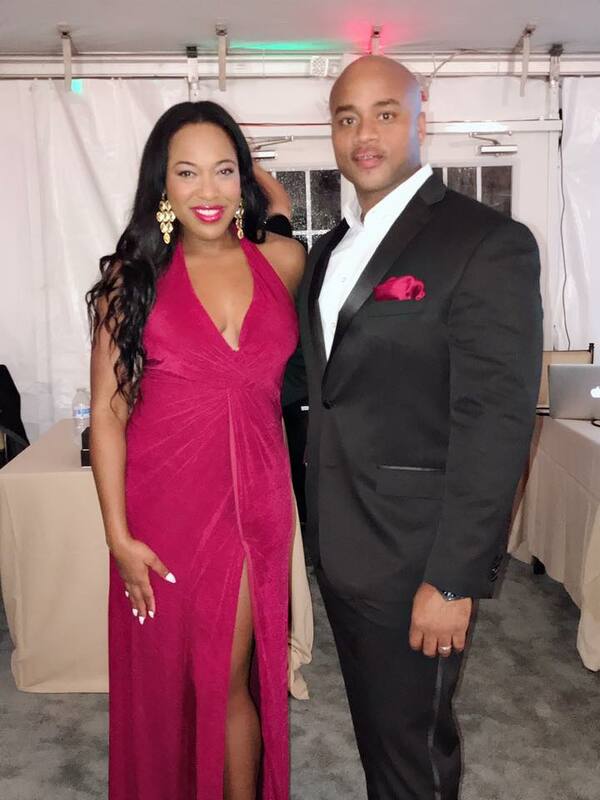 Amanda and her husband created the Wilmington Black Professionals Facebook group as a way to connect minority business owners and employers of minorities in the Cape Fear Area. 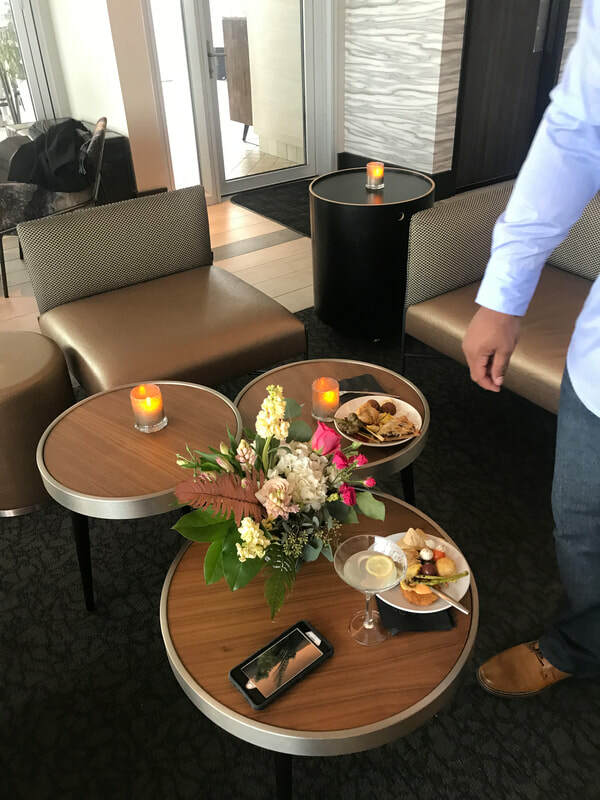 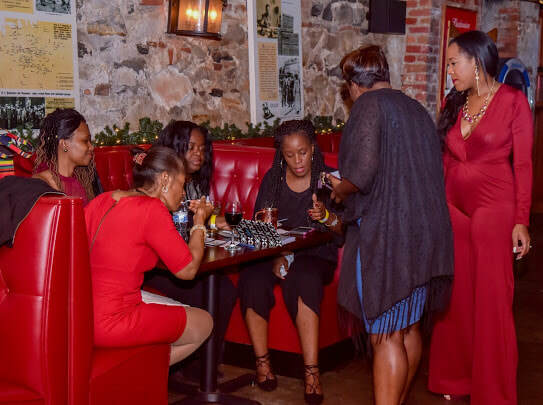 The purpose of the group is to create a fun and safe place for networking and to help cultivate relationships in the community. 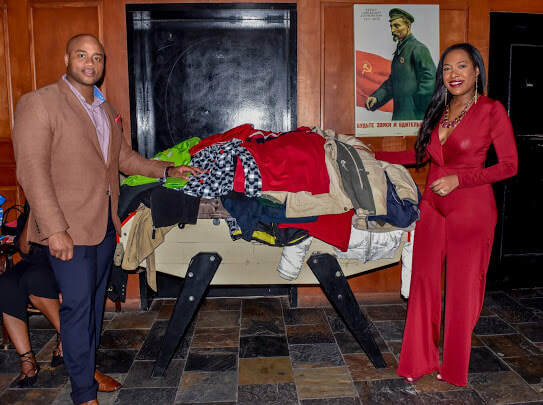 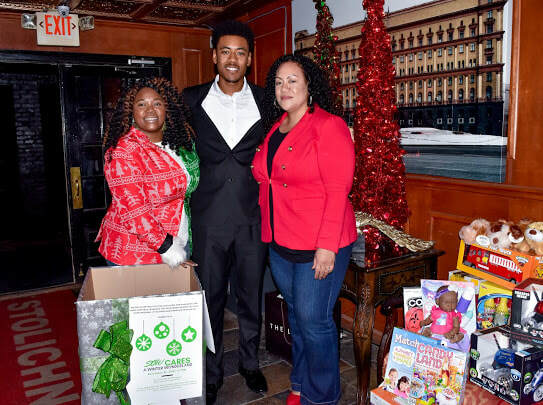 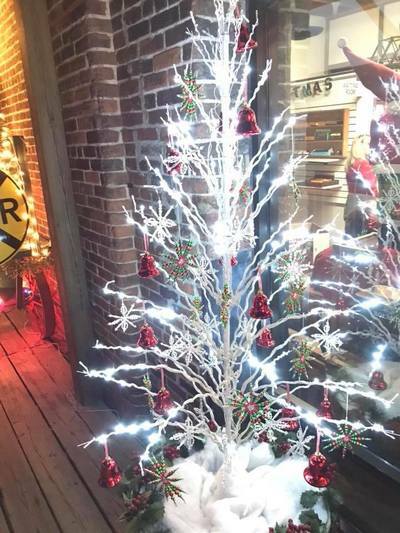 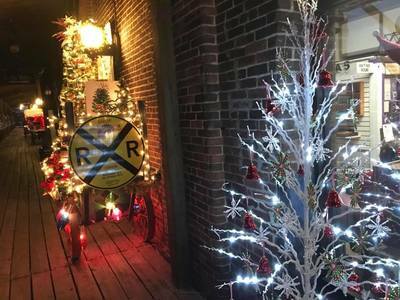 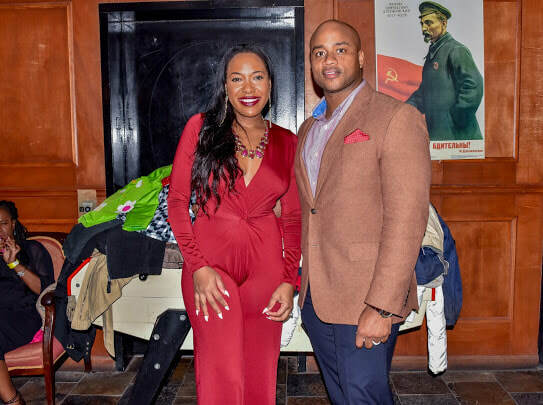 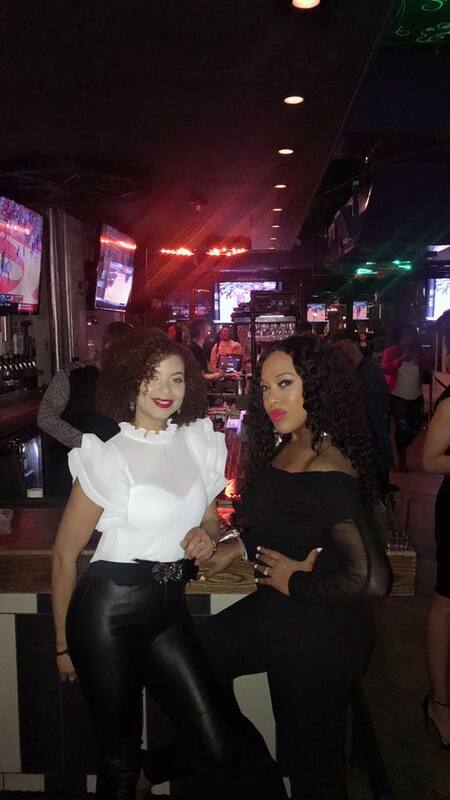 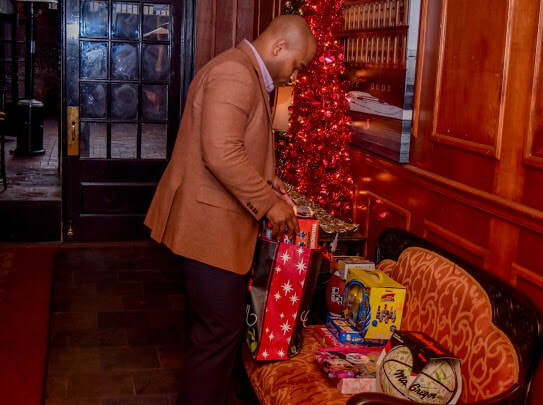 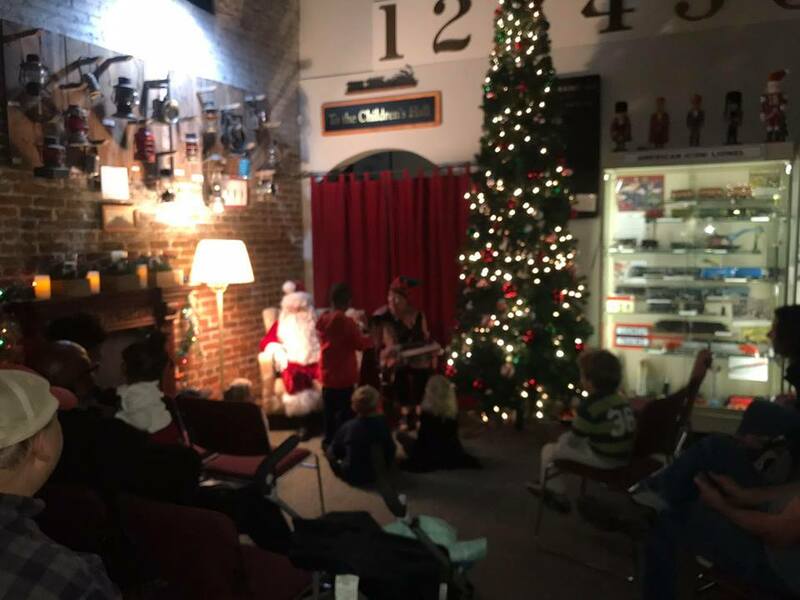 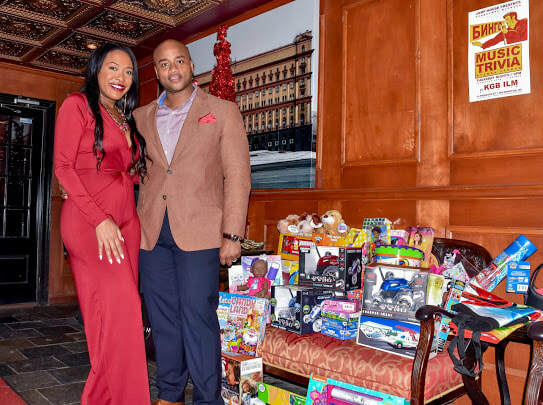 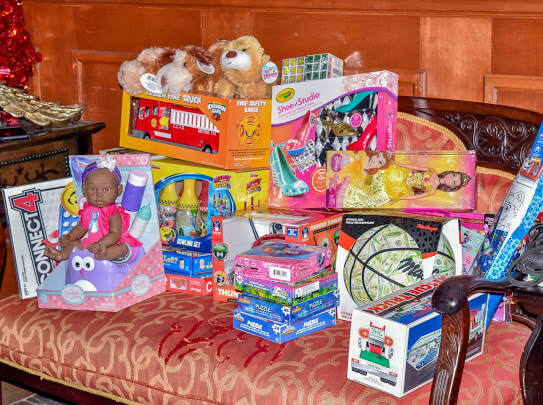 After Hurricane Florence they knew they had to do something to give back and decided to host a toy and coat drive at KGB bar and lounge in Downtown Wilmington. 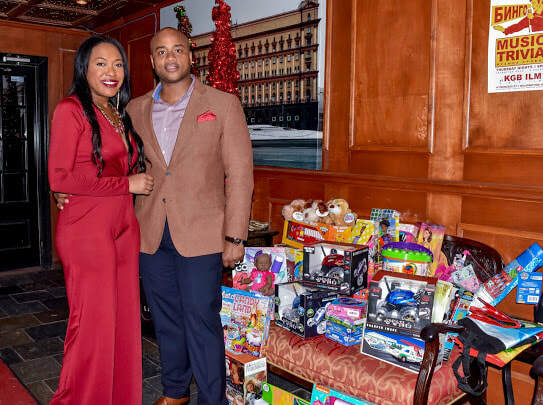 Dozens came out to support and more than 80 coats and toys were donated and distributed to two partners for them to be able to give away items to those people impacted by the storm. 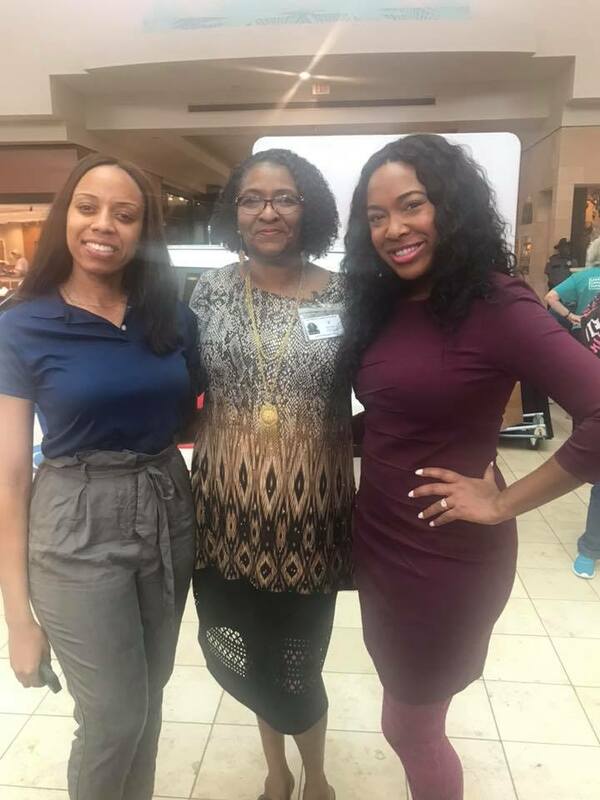 If you would like to learn more about the group click here. 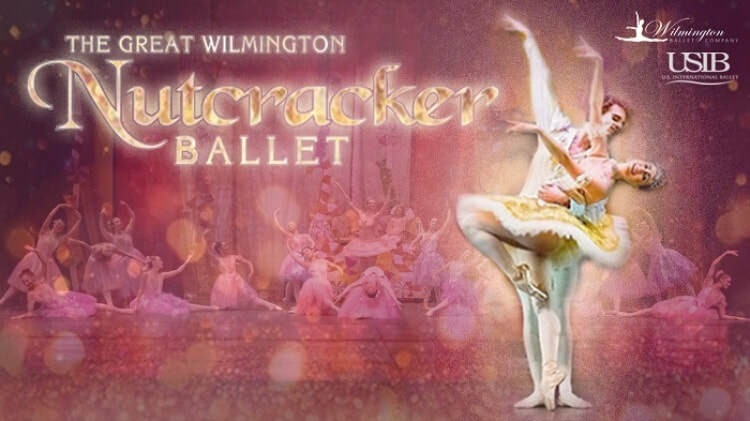 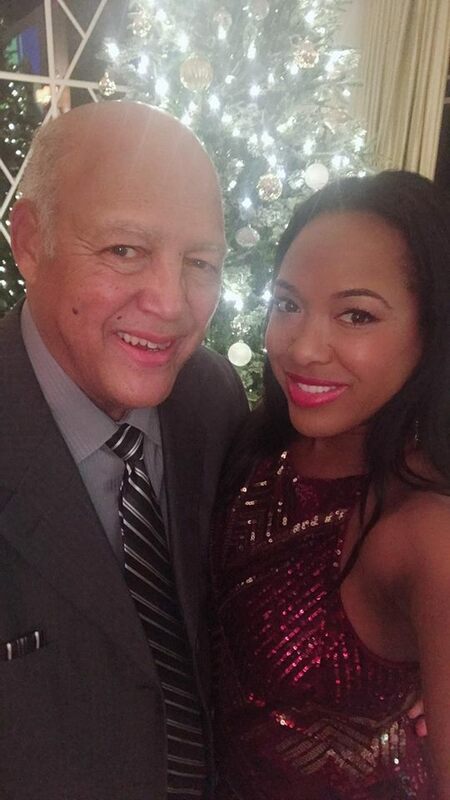 Amanda was blessed to host the Wilmington Ballet Company Nutcracker at the Wilson Center in Downtown Wilmington. More than 100 people came out to watch the amazing show. 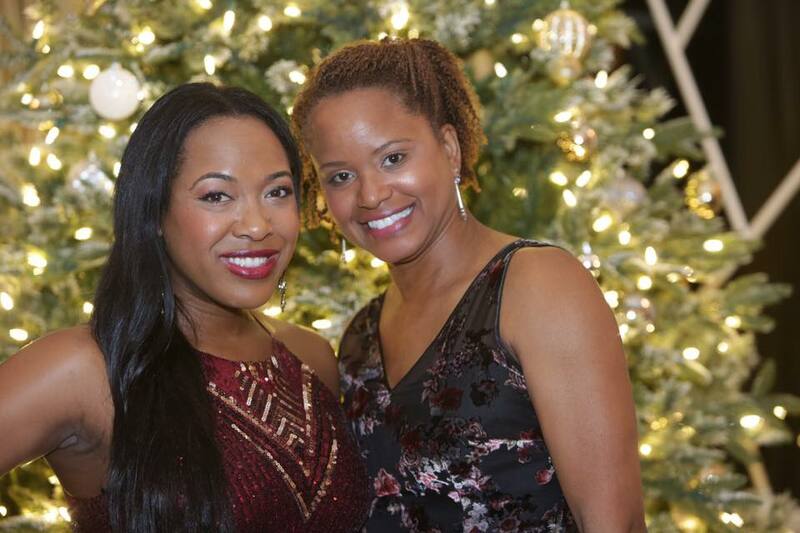 300 dancers, performers and locals participated in the show that brought smiles to the crowd. 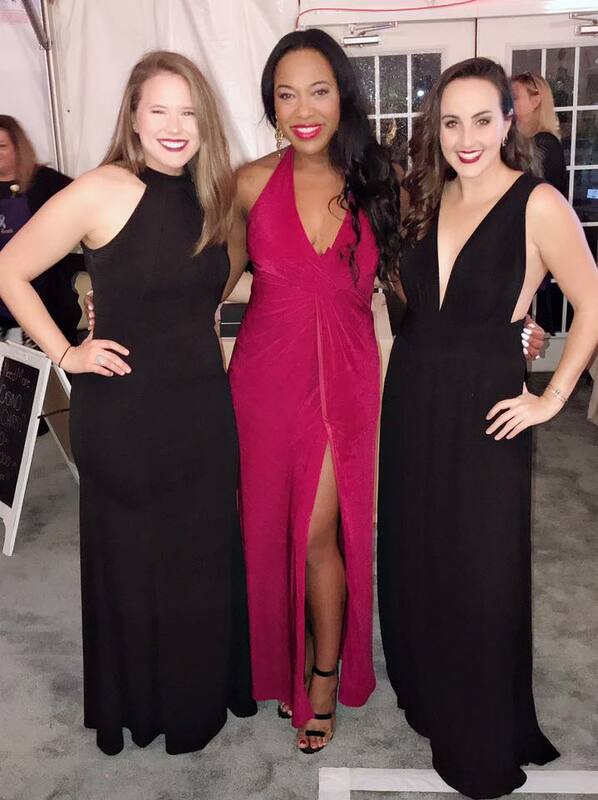 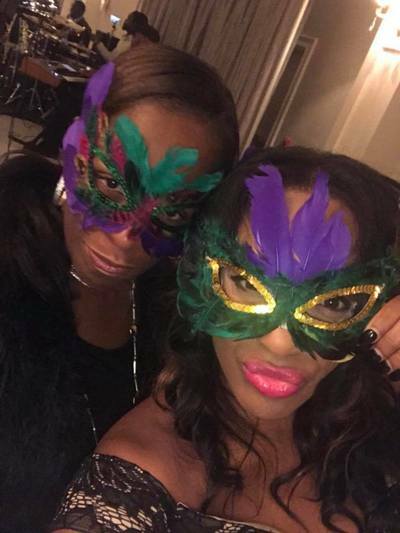 Last year they hosted a Masquerade ball and casino night fundraiser at the Sir Tyler Terraces in Wilmington. 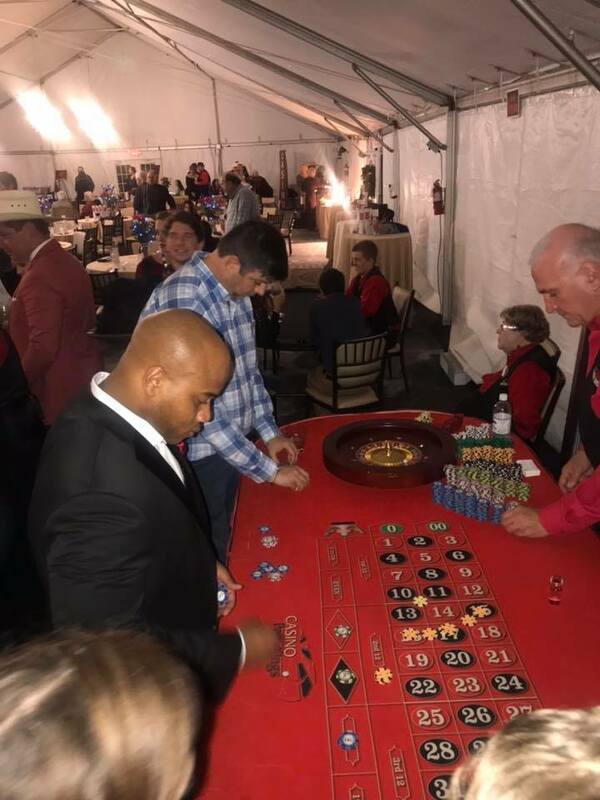 Amanda was the emcee and participated in the fun by attempting to play a few casino games. 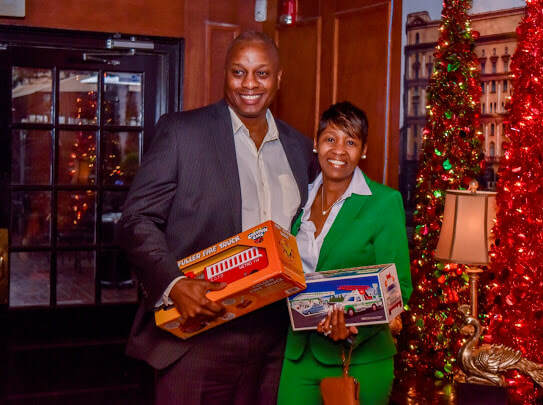 The event was to raise money for the community boys and girls clubs across the area in New Hanover County. 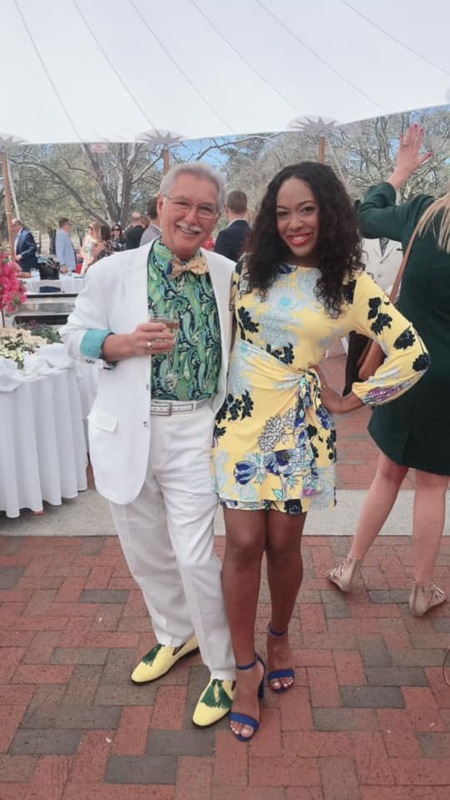 More than a hundred people came out to show their support dressed in their best. 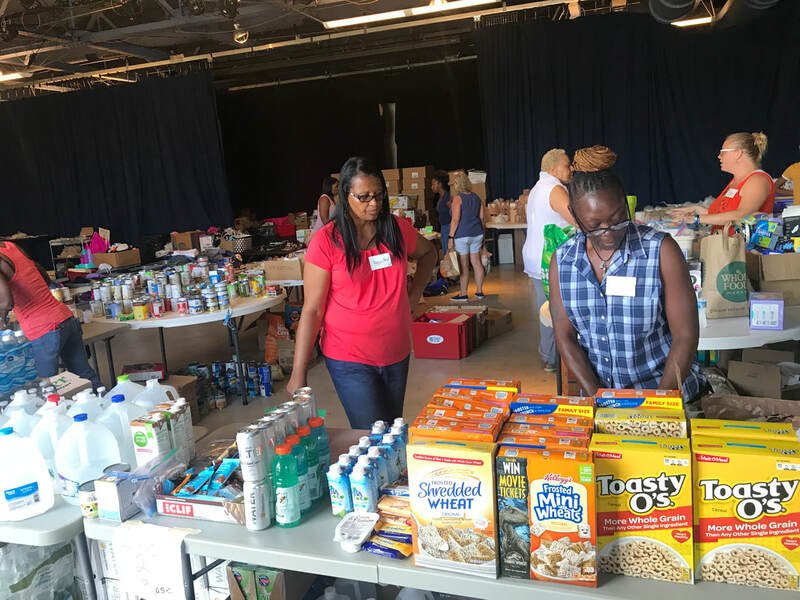 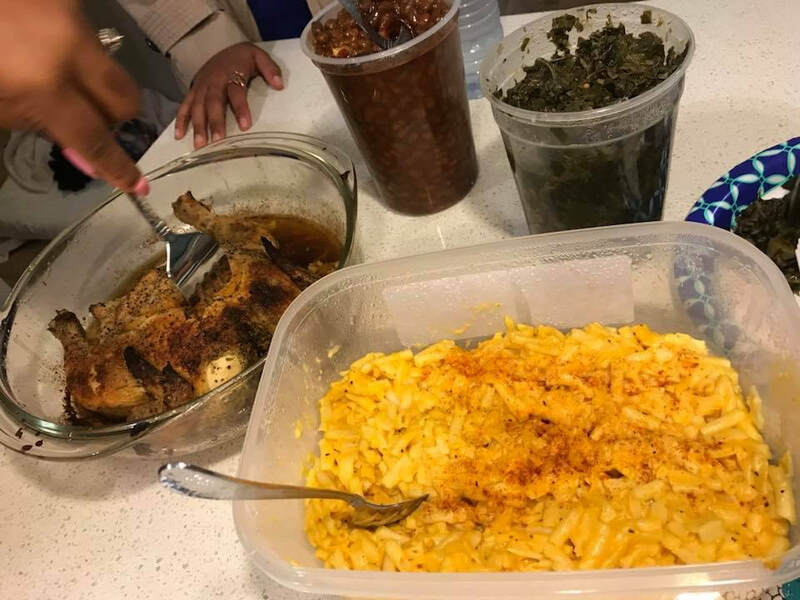 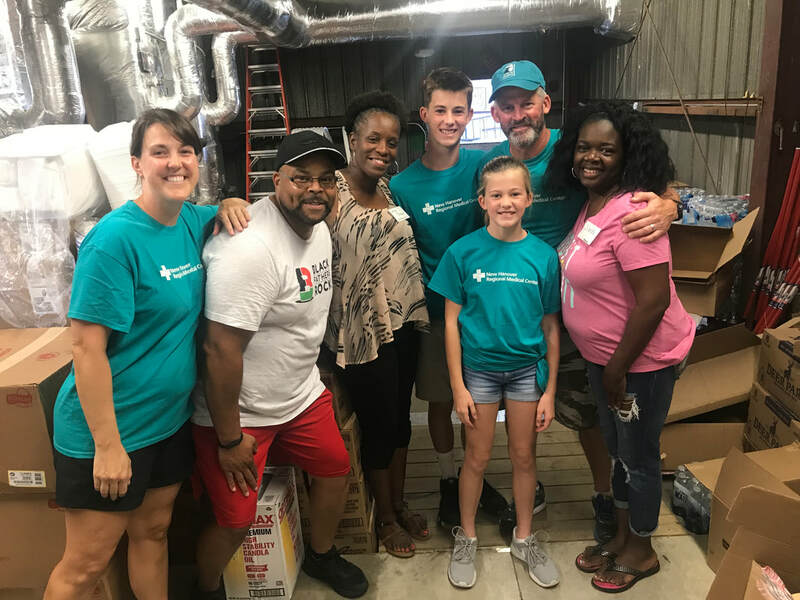 The community pulled together to help Hurricane Florence Victims, led by individuals who wanted to step up and make sure those in low income areas had food, water and supplies. 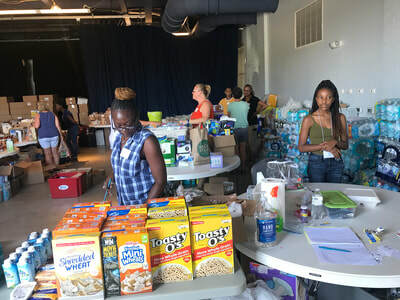 Amanda and her co-worker Sarah Johnson stopped by Dreams on Fanning Street in Wilmington to drop off and donate supplies and to promote the event.